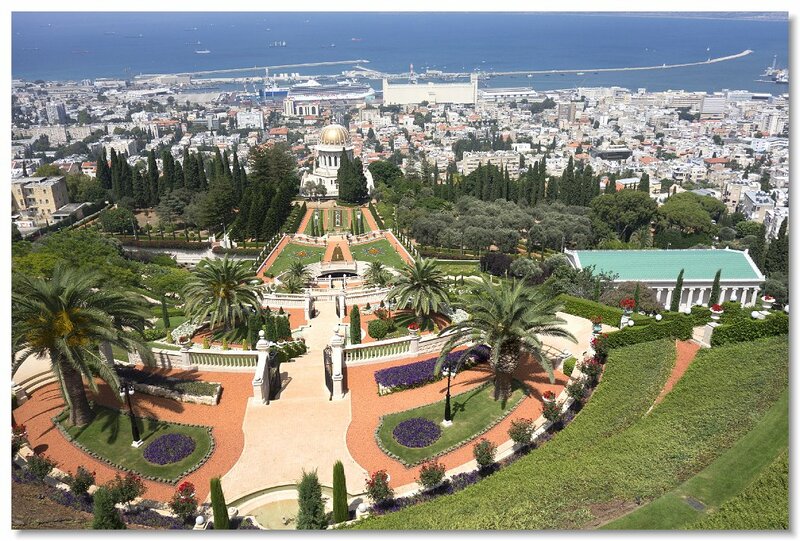 Bahai Gardens in Haifa. 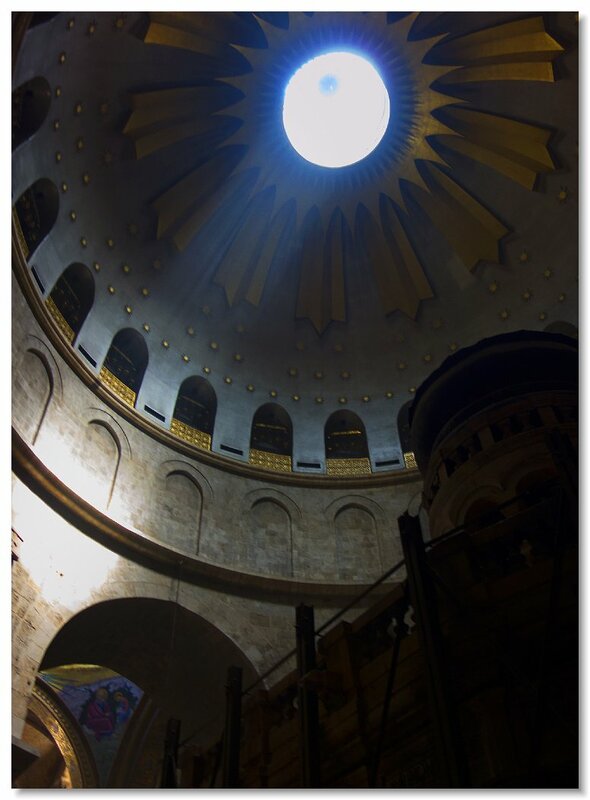 You can see it's golden dome. 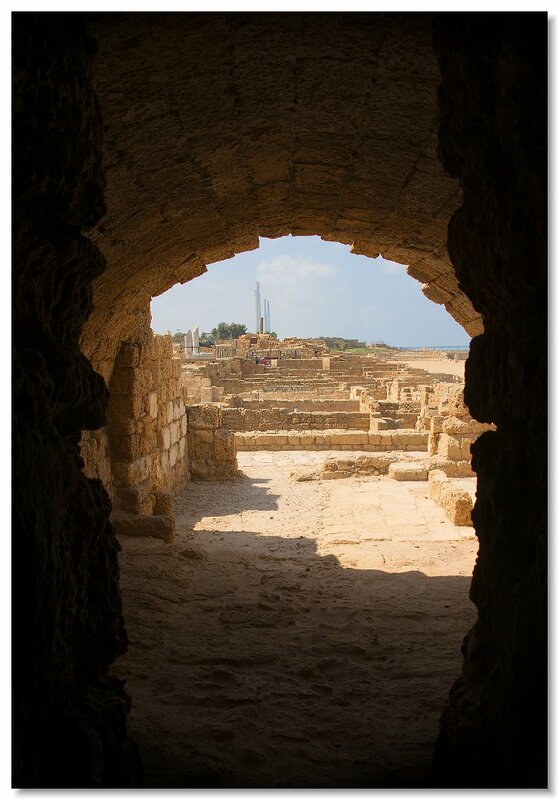 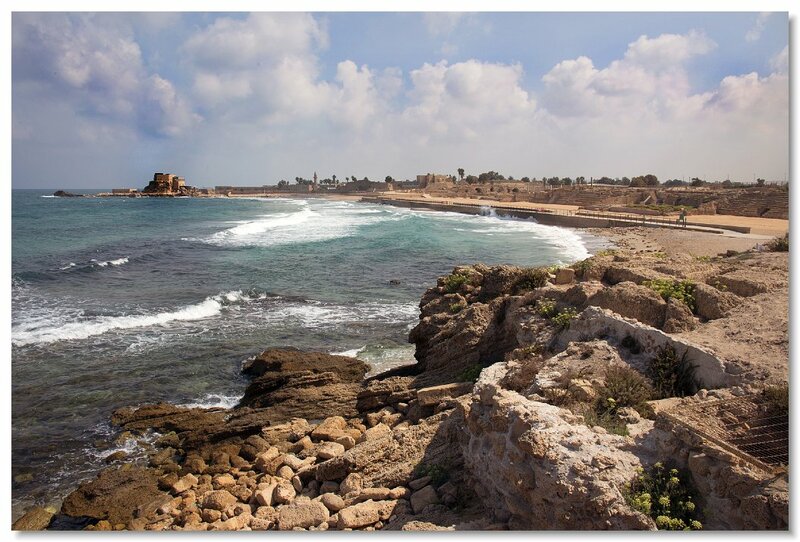 Caesarea on the Mediterranean Sea. 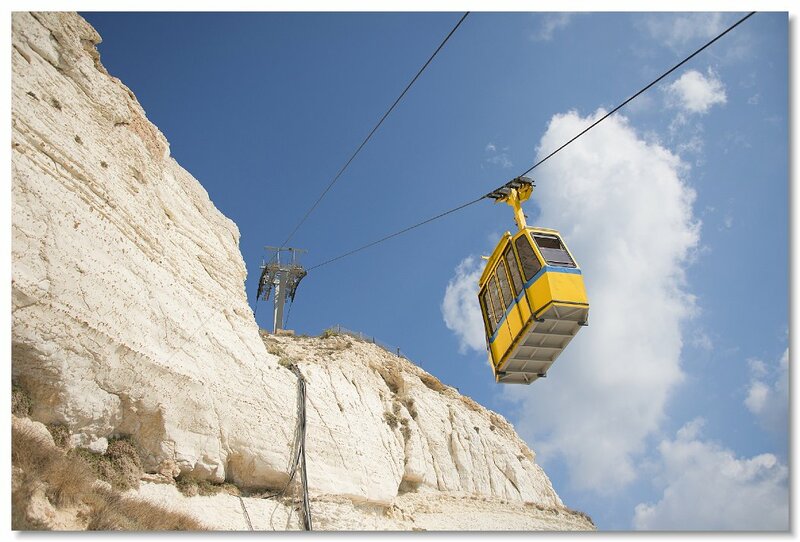 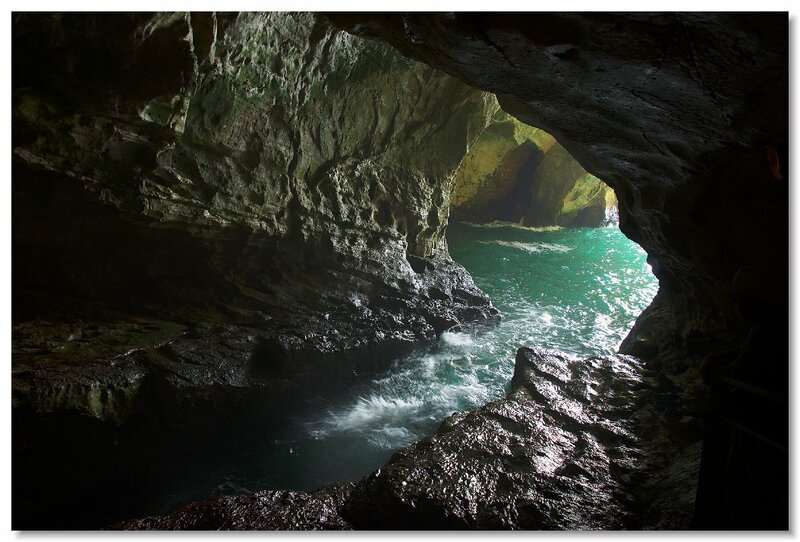 Rosh Hanikra on the Mediterranean in North Israel. 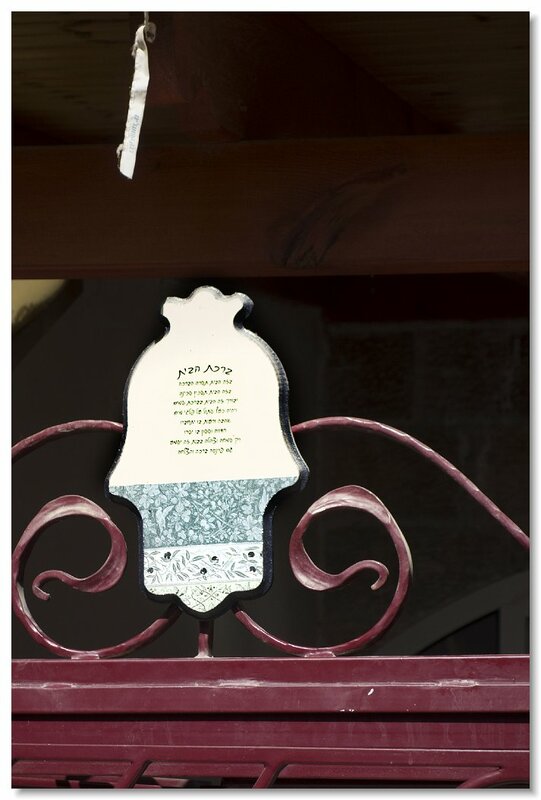 At a Druze restaurant. 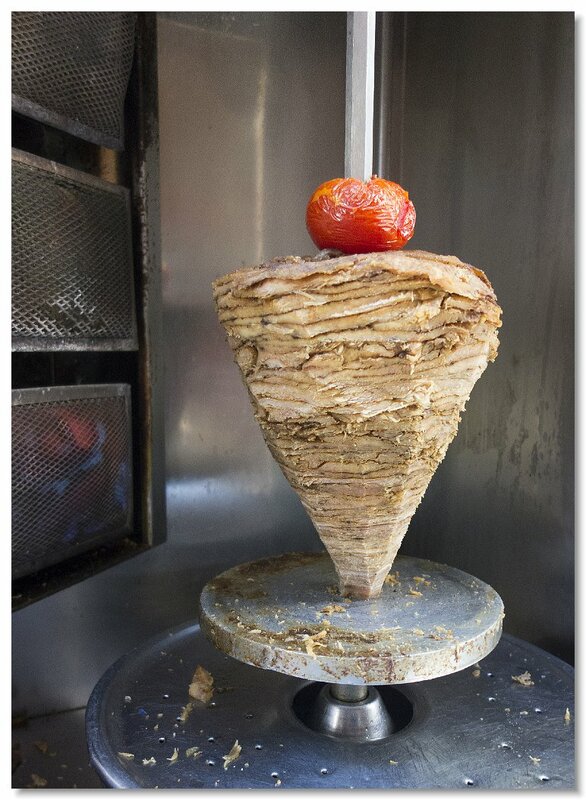 The falafel we had there was terrific. 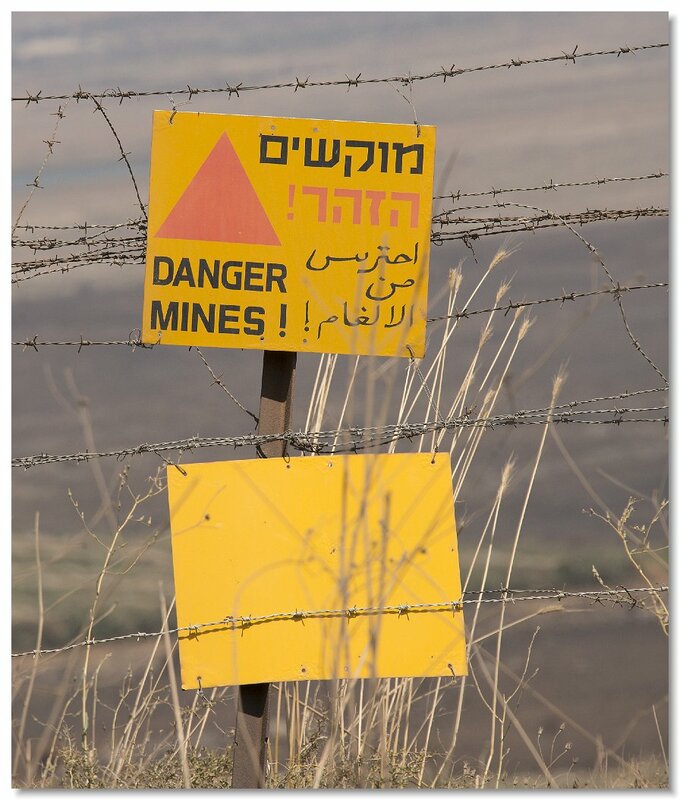 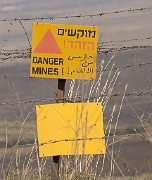 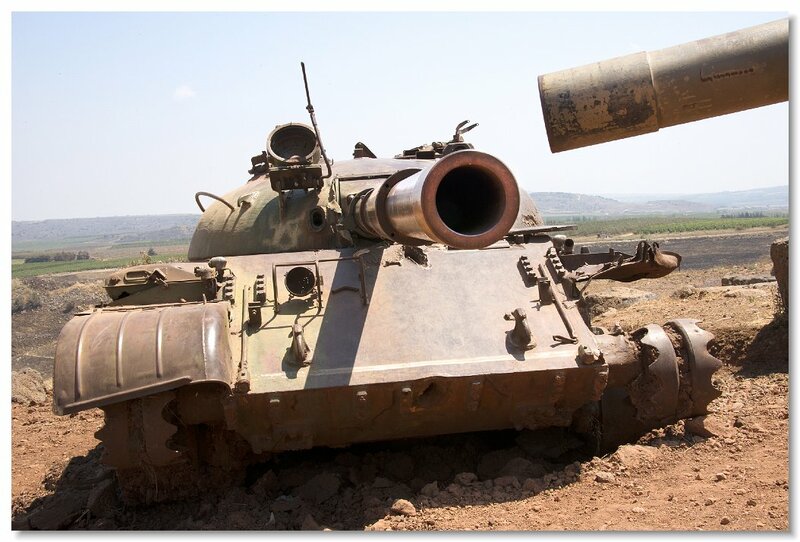 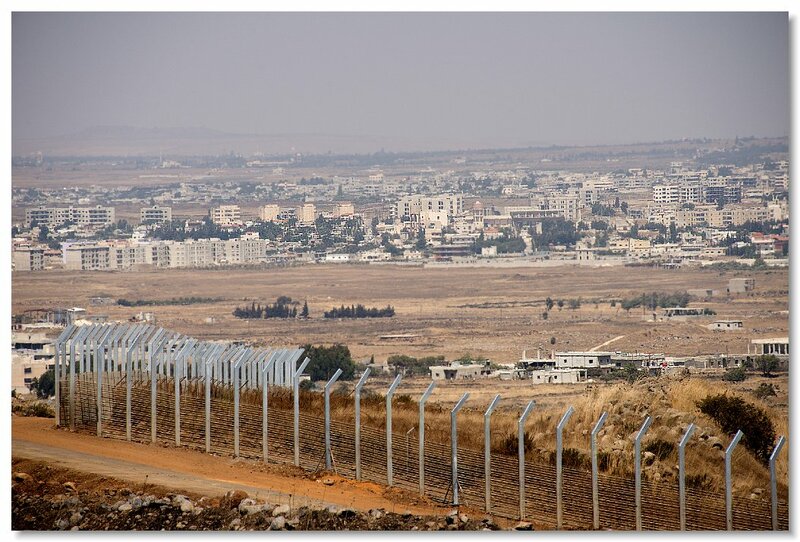 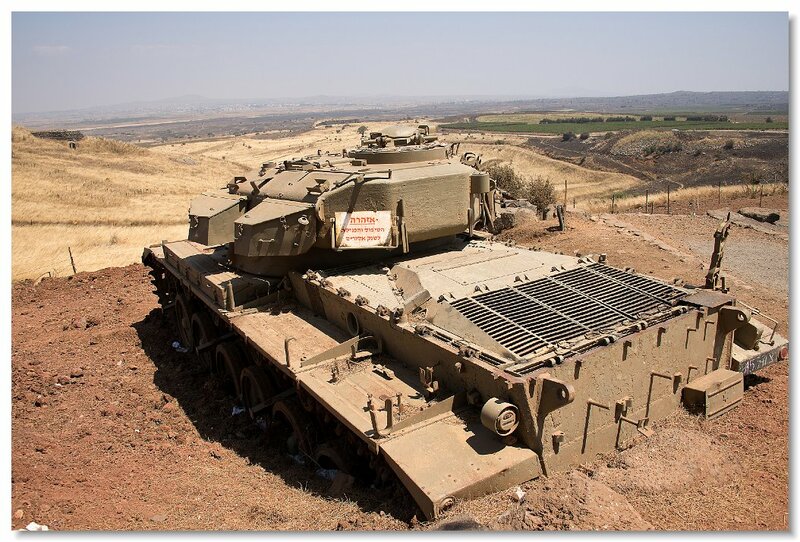 Along the border in the Golan Heights. 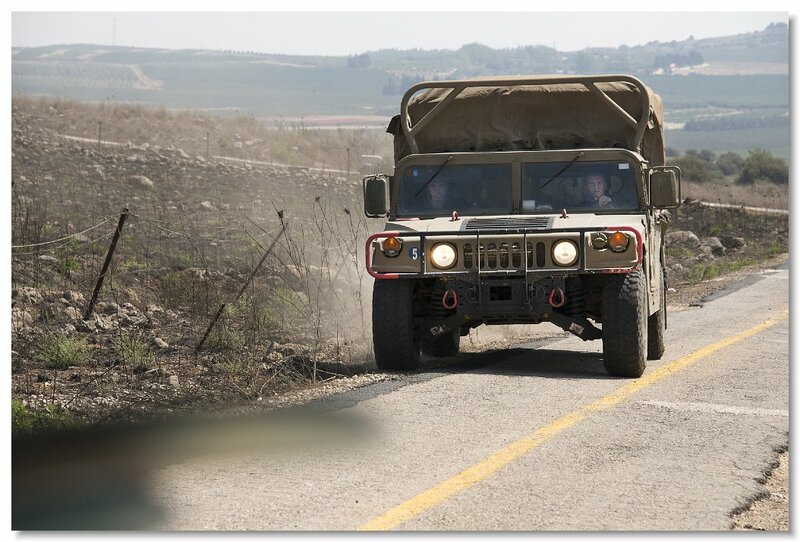 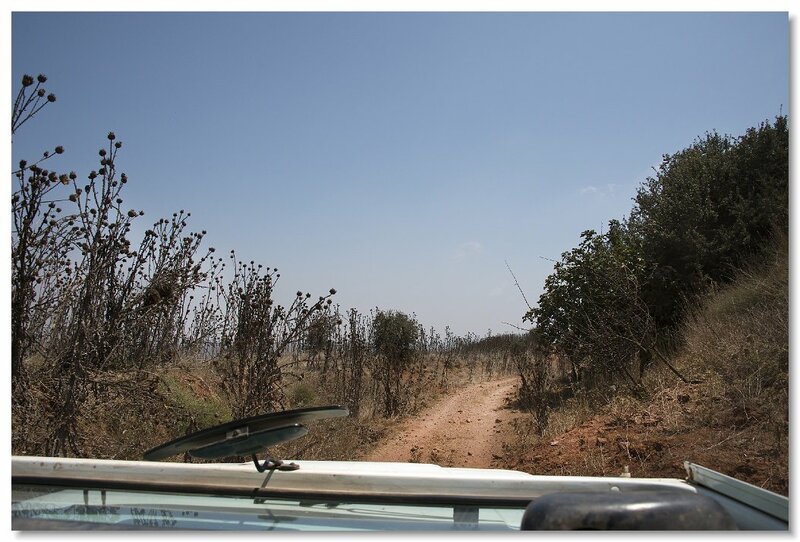 We are on an open Jeep ride along the border in the Golan Heights. 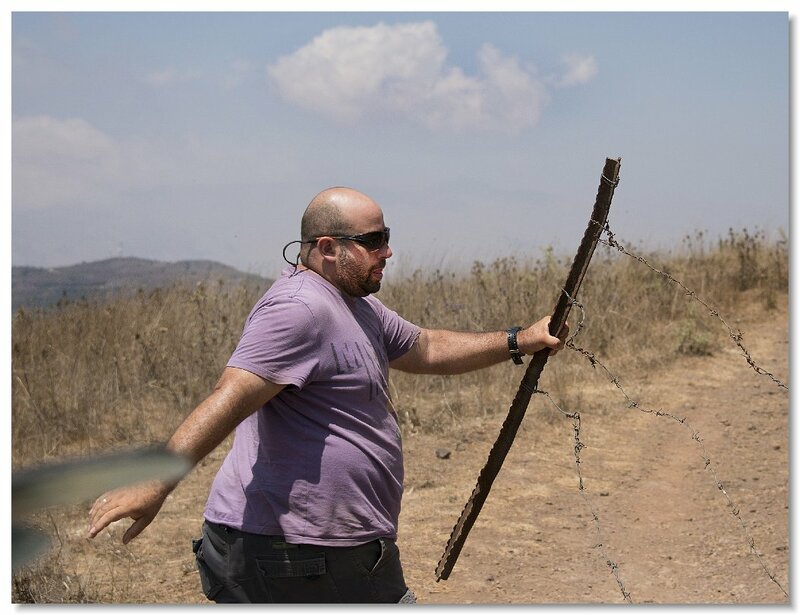 Our jeep driver and guide moves a fence which keep cattle from straying. 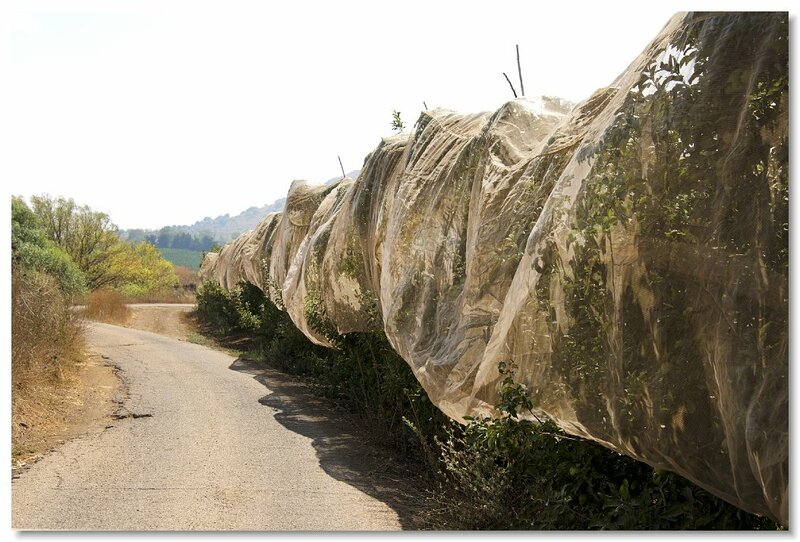 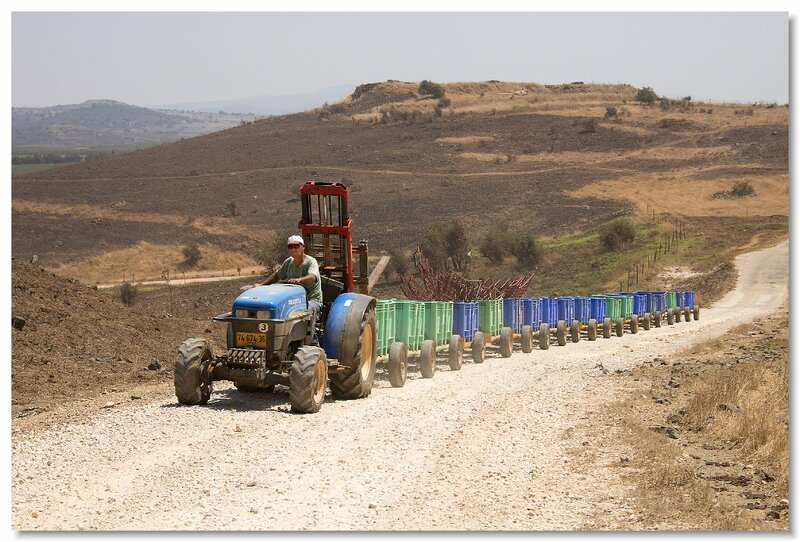 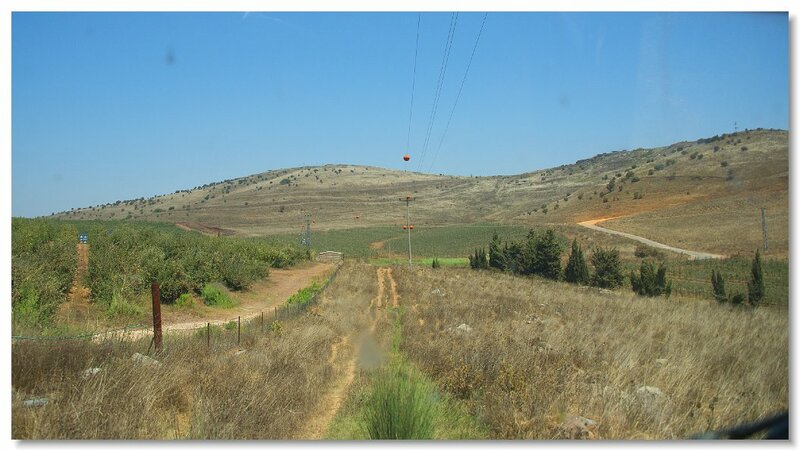 Farmer & apple carts in the Golan Heights. 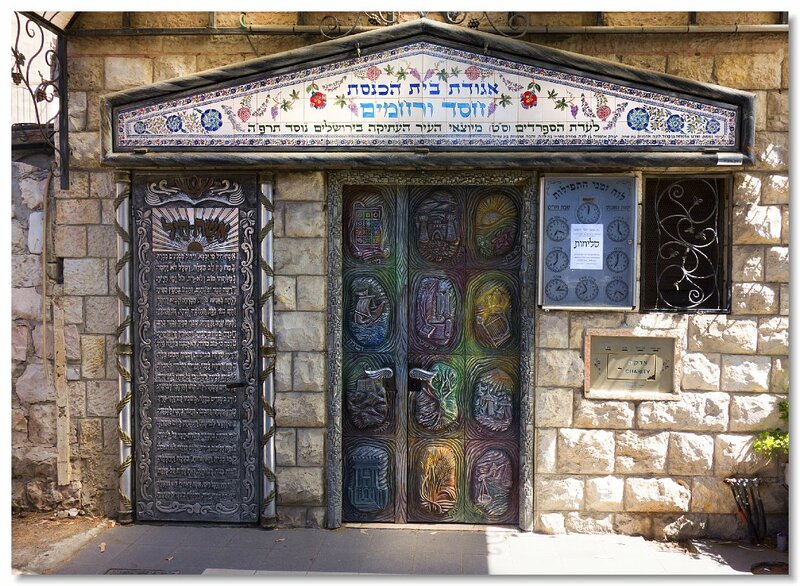 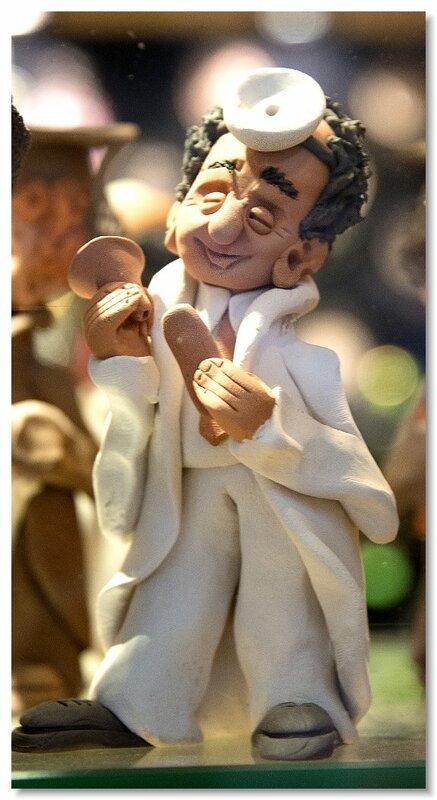 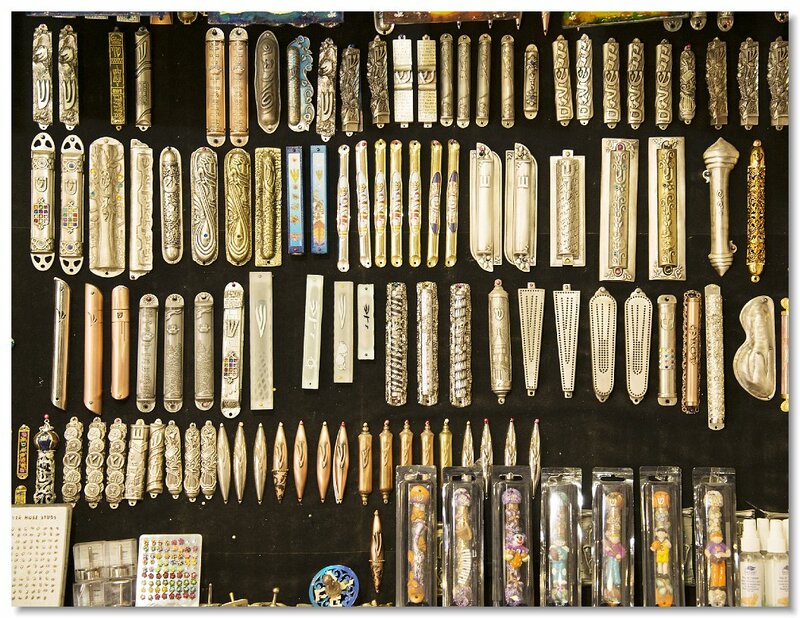 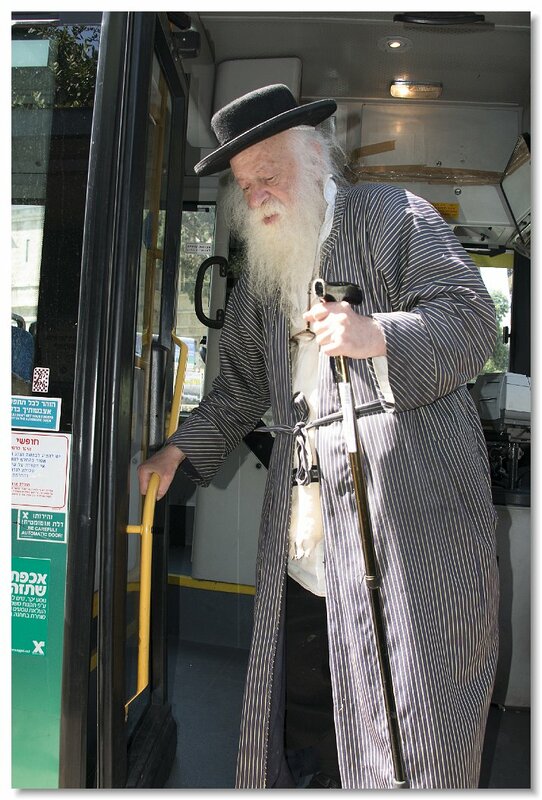 Need a Mezuzah? 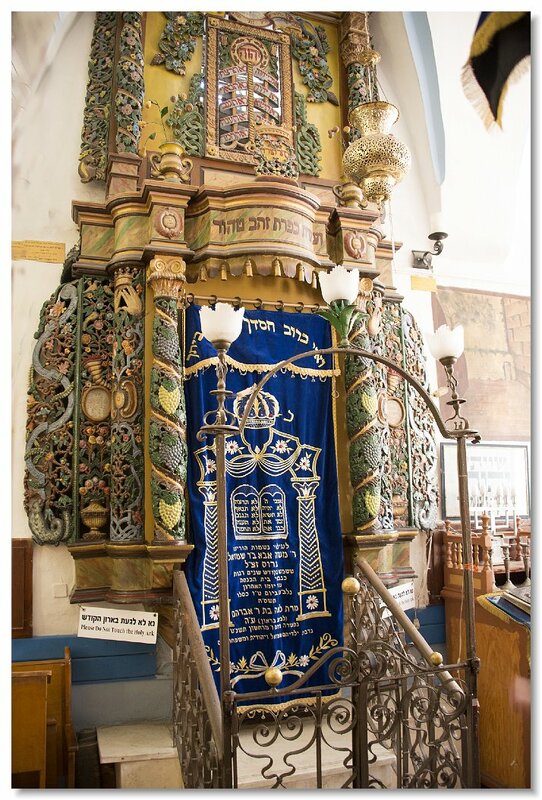 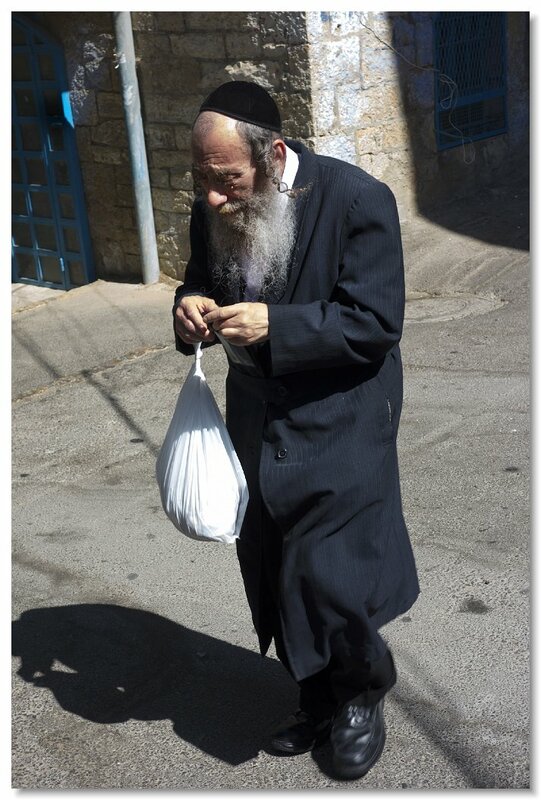 Safed has a lot. 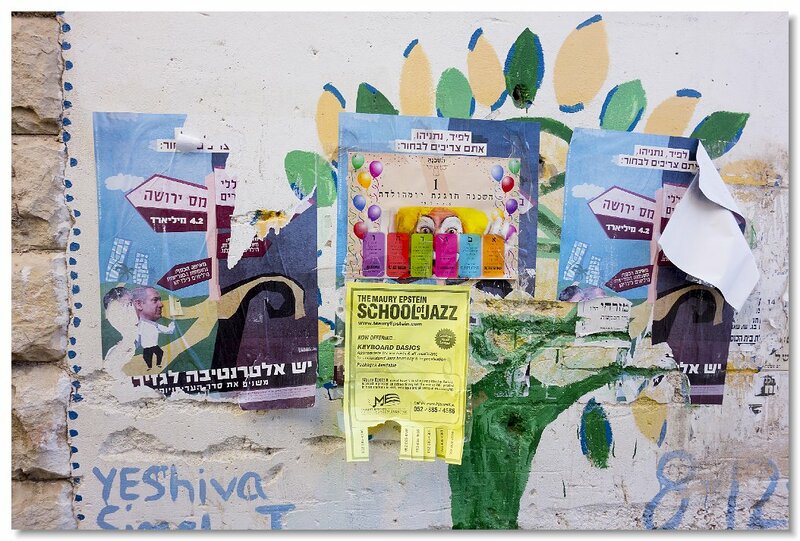 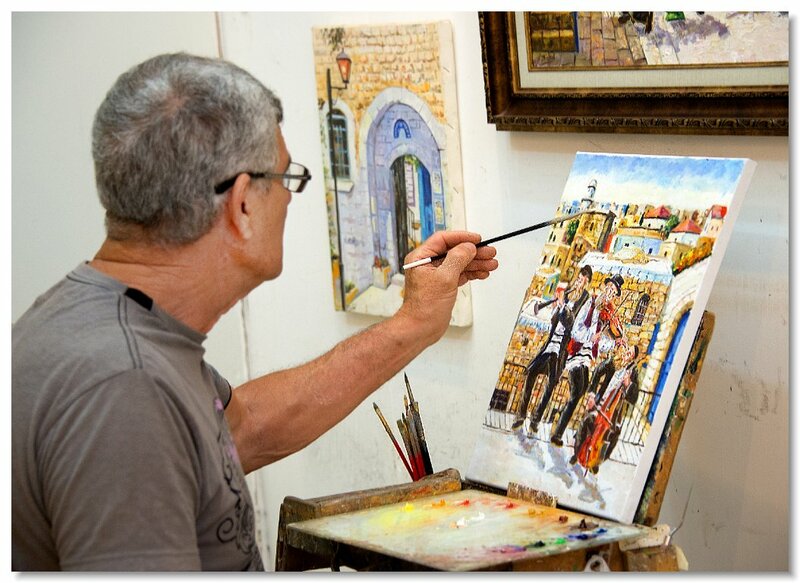 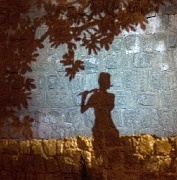 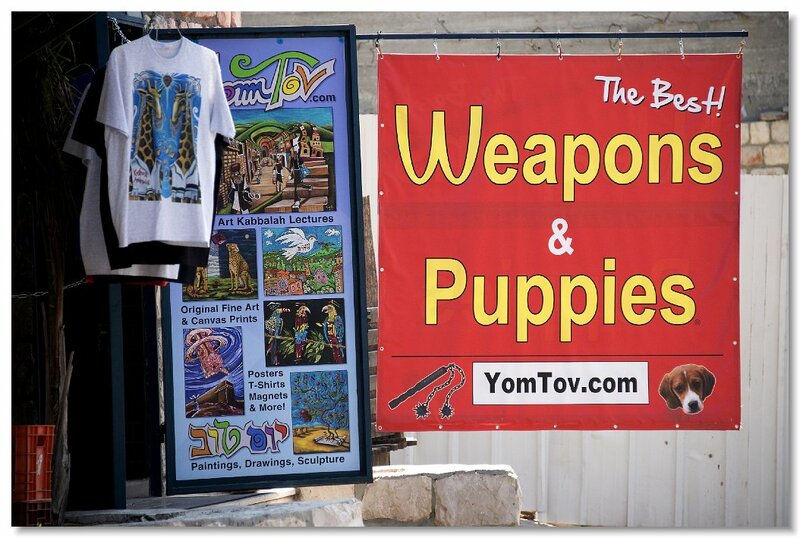 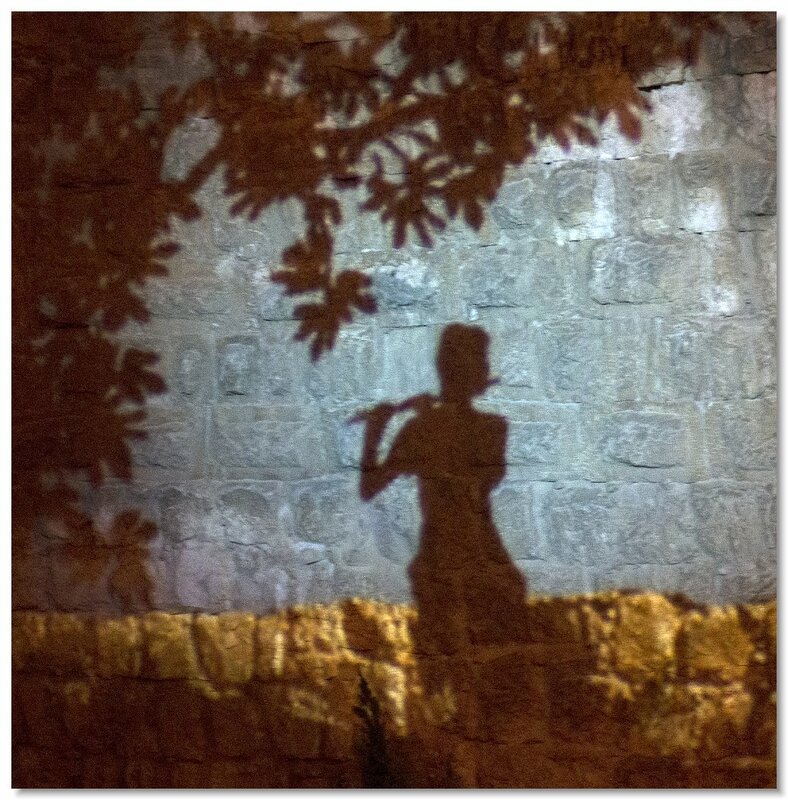 One of many artists in Safed. 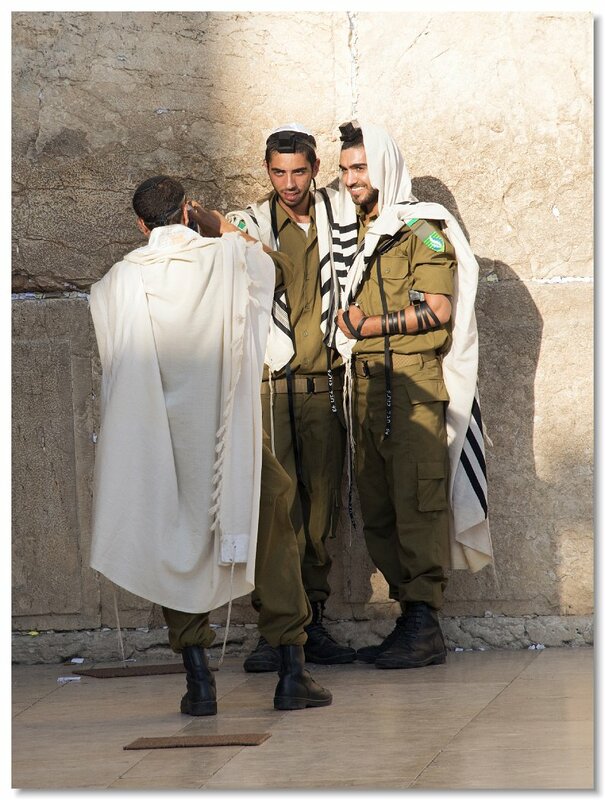 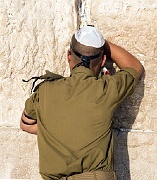 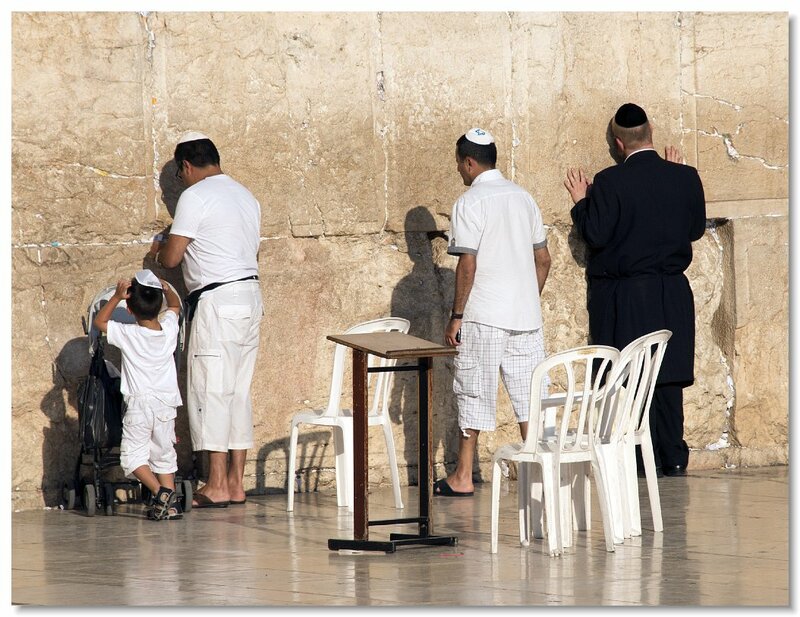 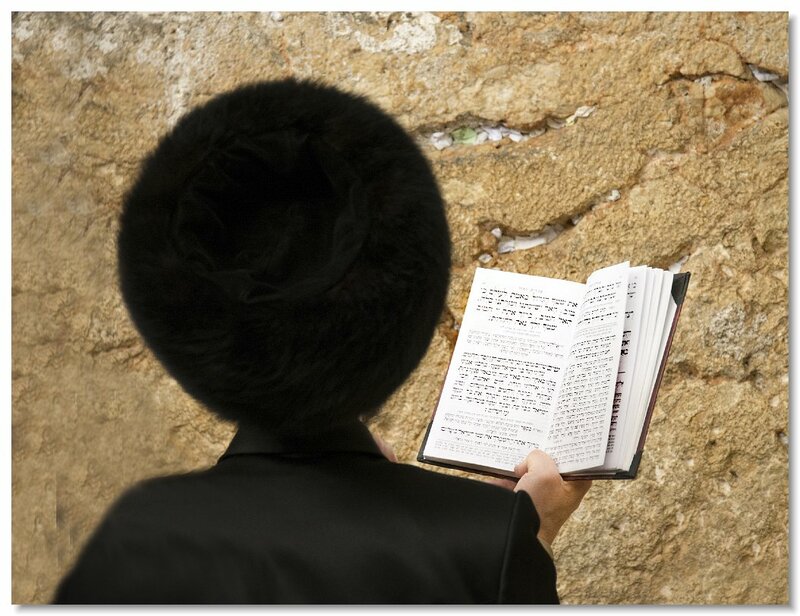 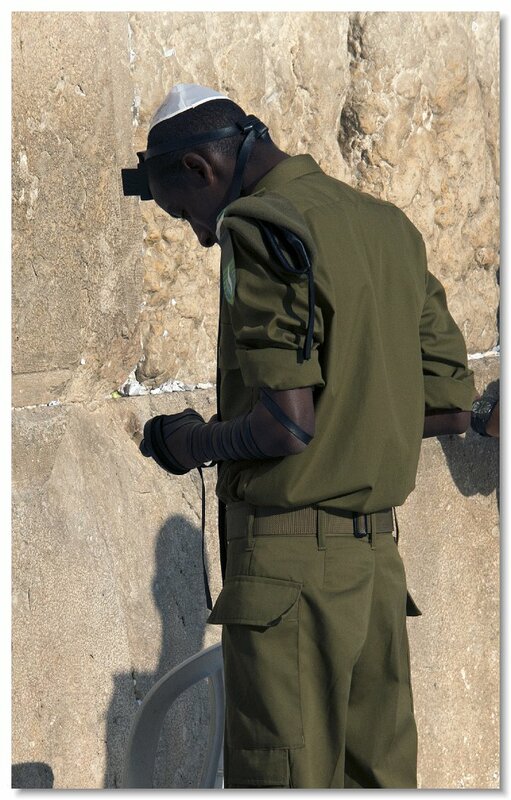 Jerusalem: At the Western Wall (men's section). 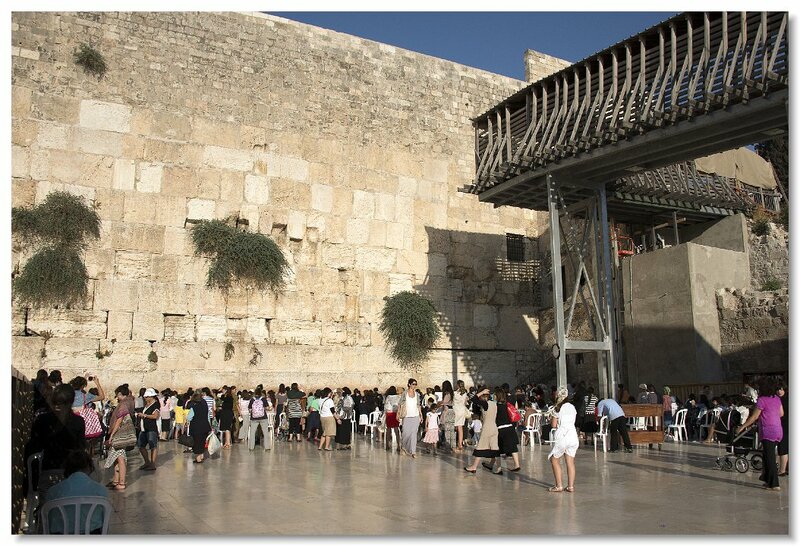 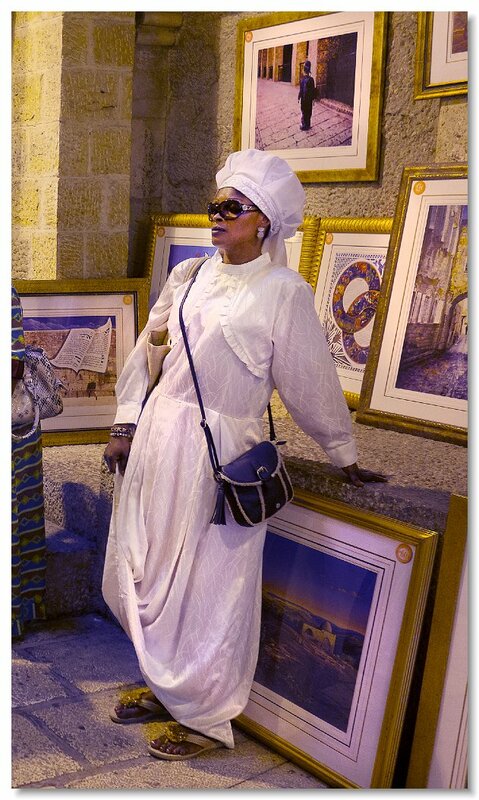 Jerusalem: At the Western Wall (Women's section). 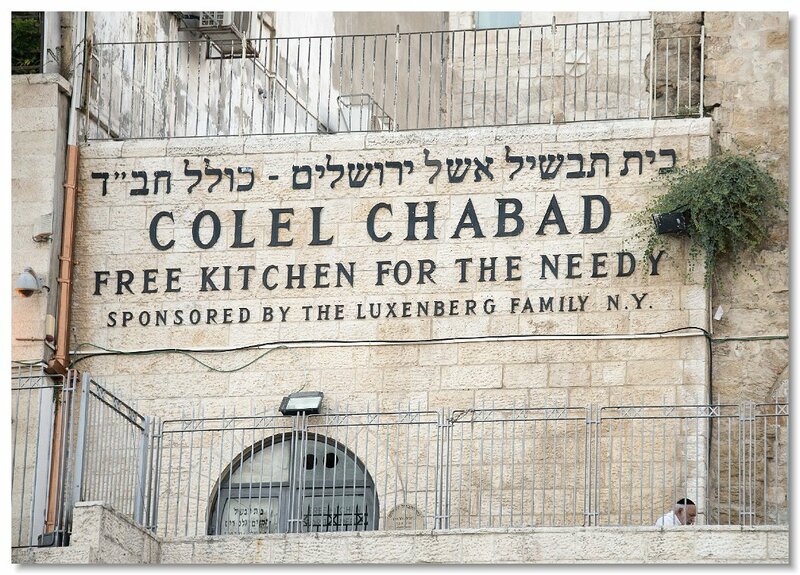 Chabad across from the Western Wall. 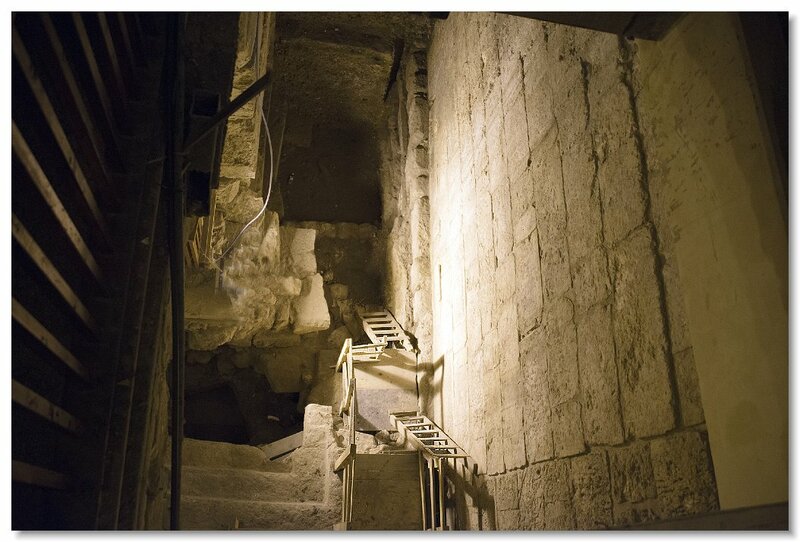 In a tunnel under the Western Wall. 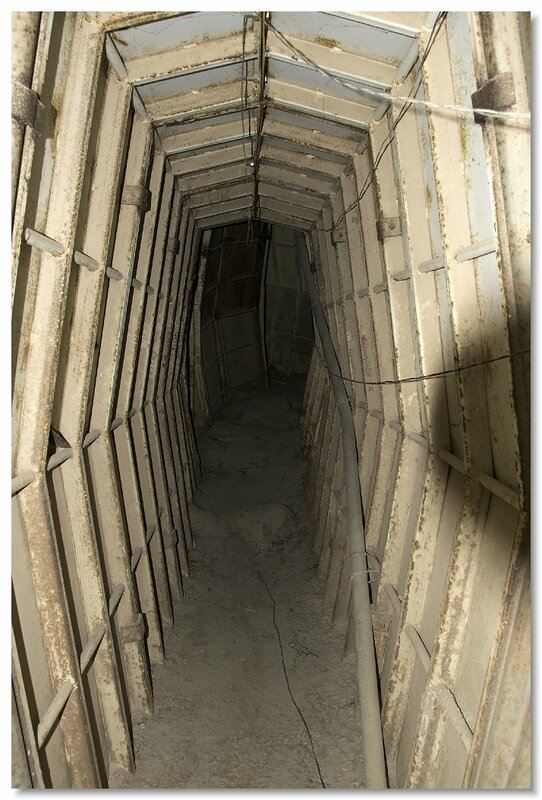 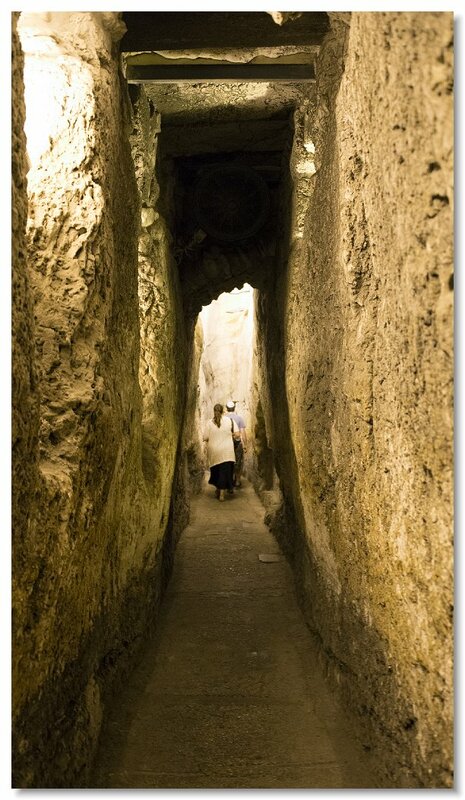 Walking through the tunnel under the Western Wall. 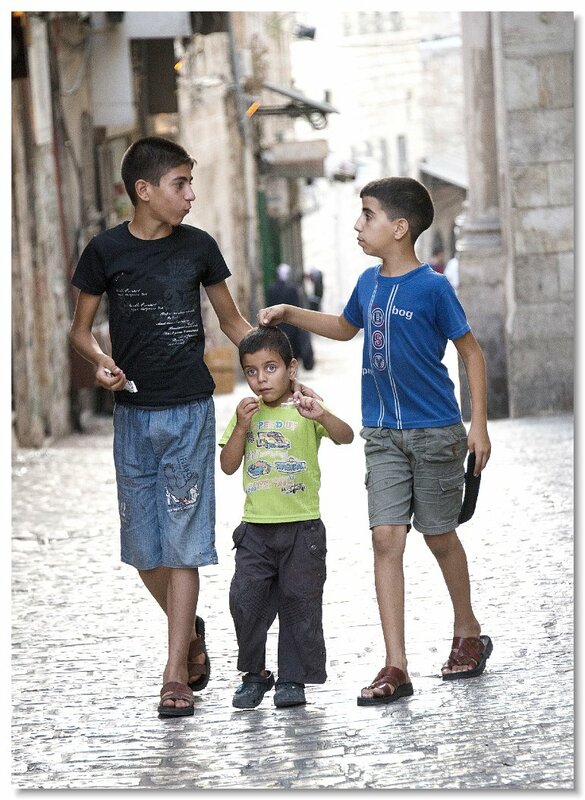 Kids in the Arab shuk (market). 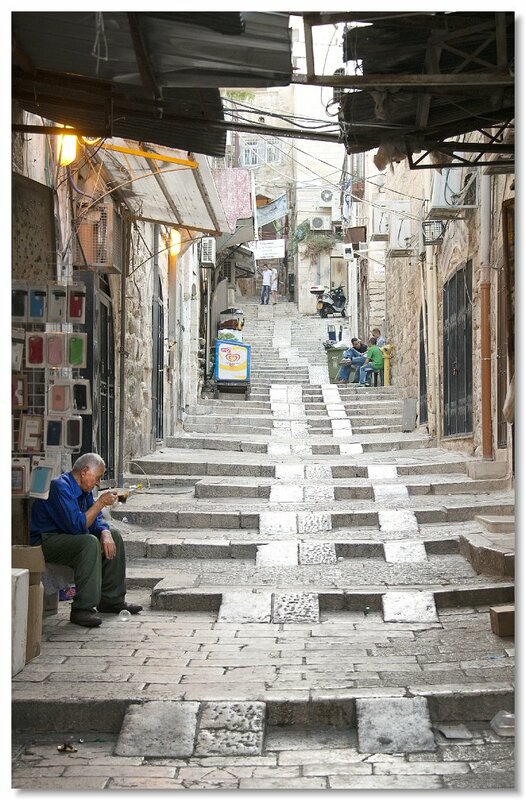 One of the many side streets in the old city. 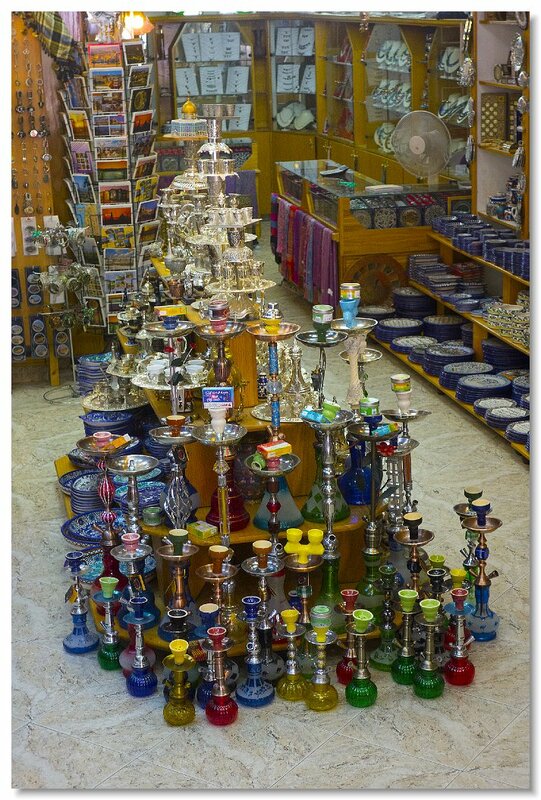 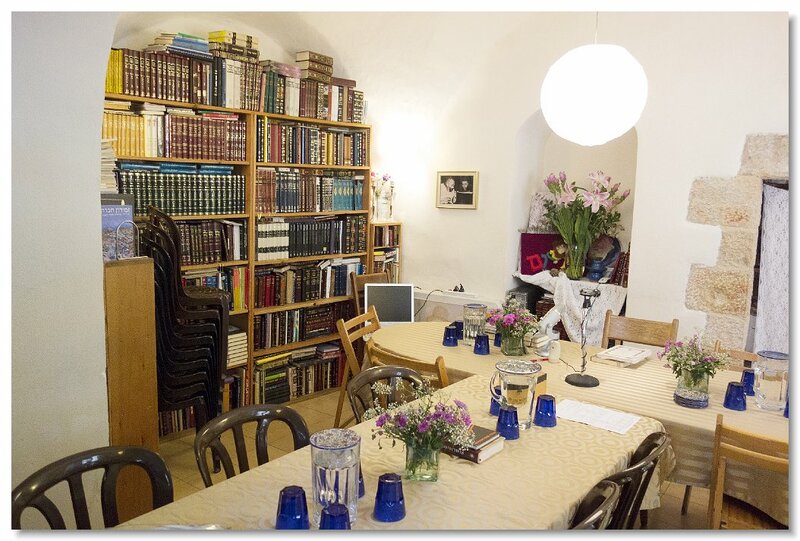 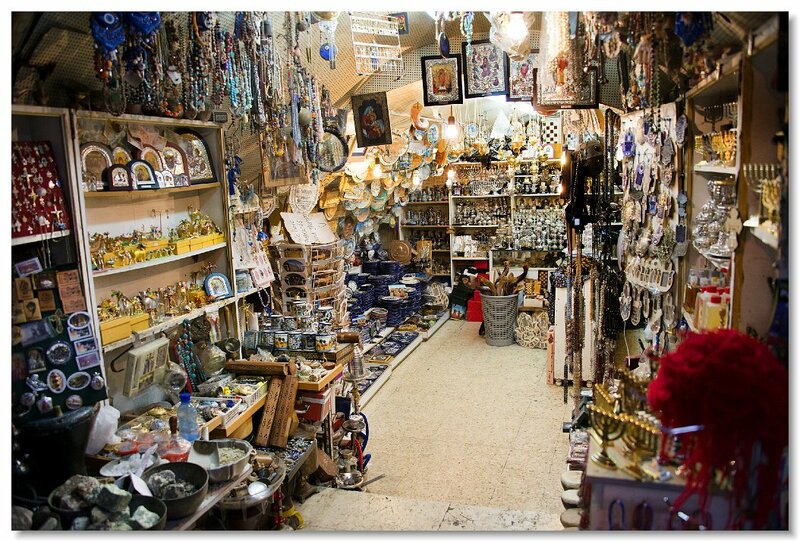 Typical shop in the old city. 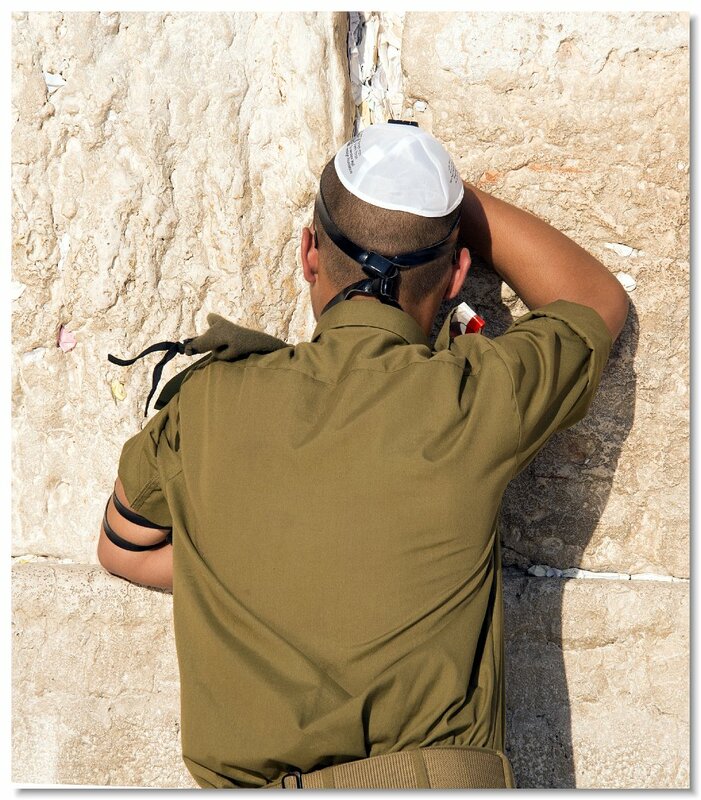 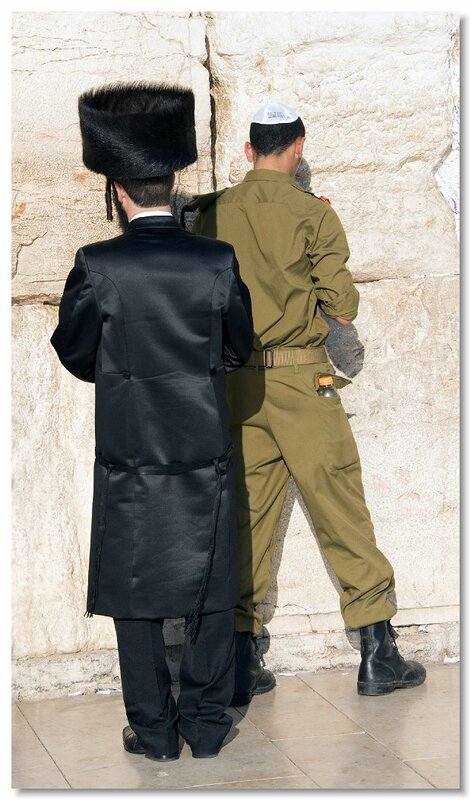 We saw many such posting on Jerusalem walls. 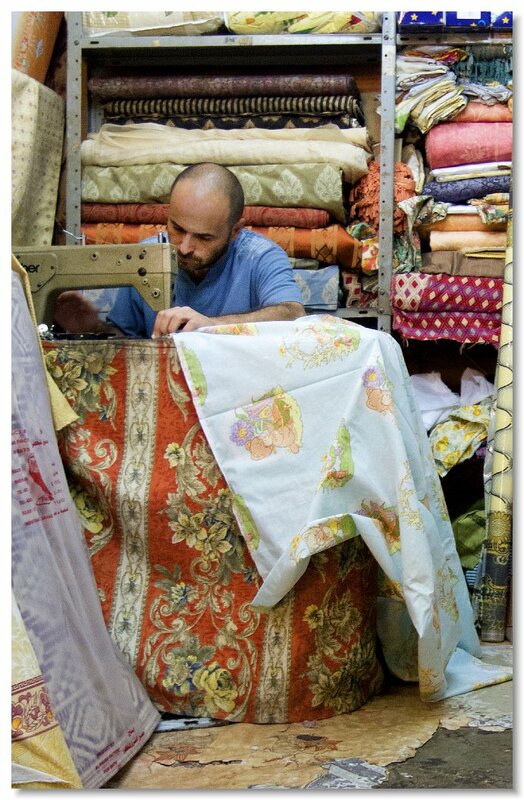 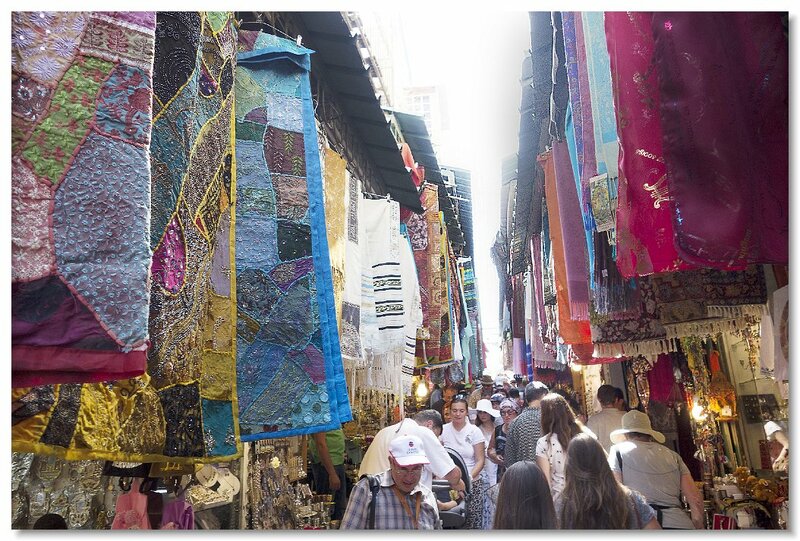 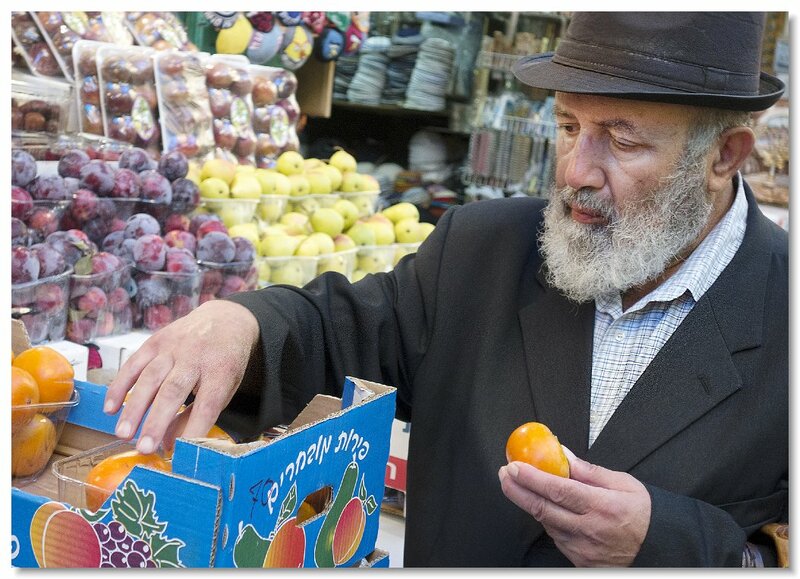 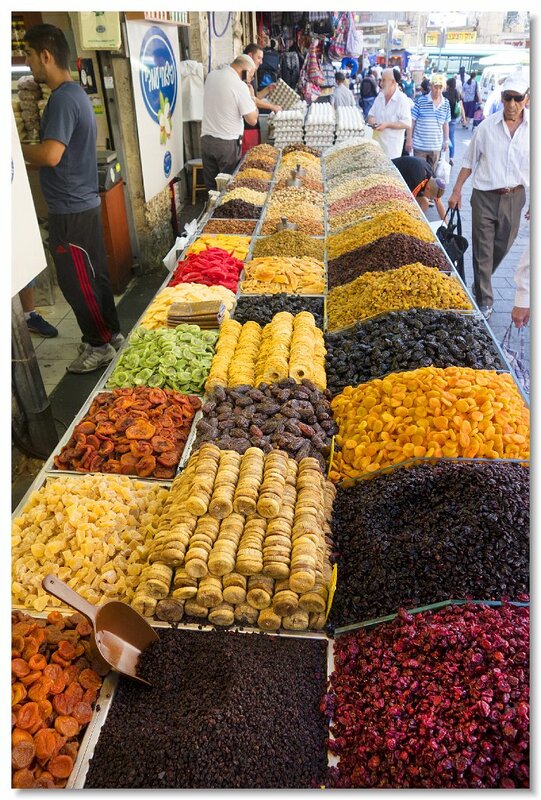 Machane Yehuda, a colorful market in Jerusalem. 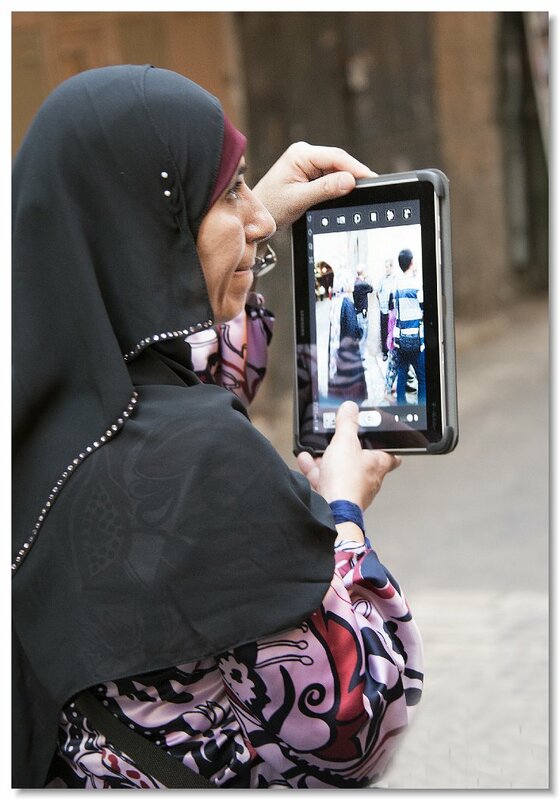 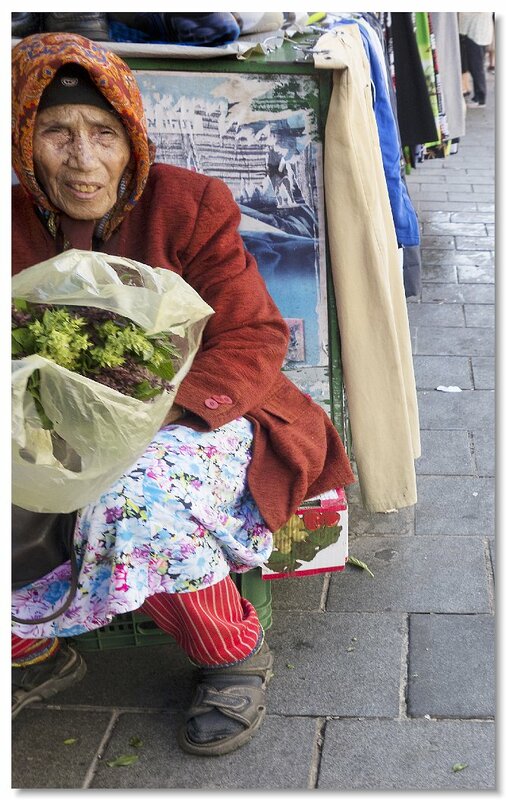 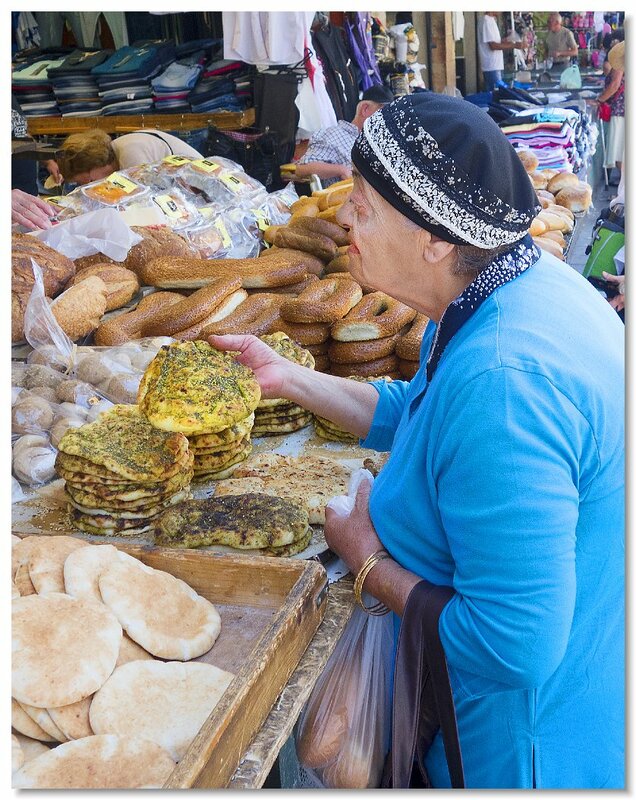 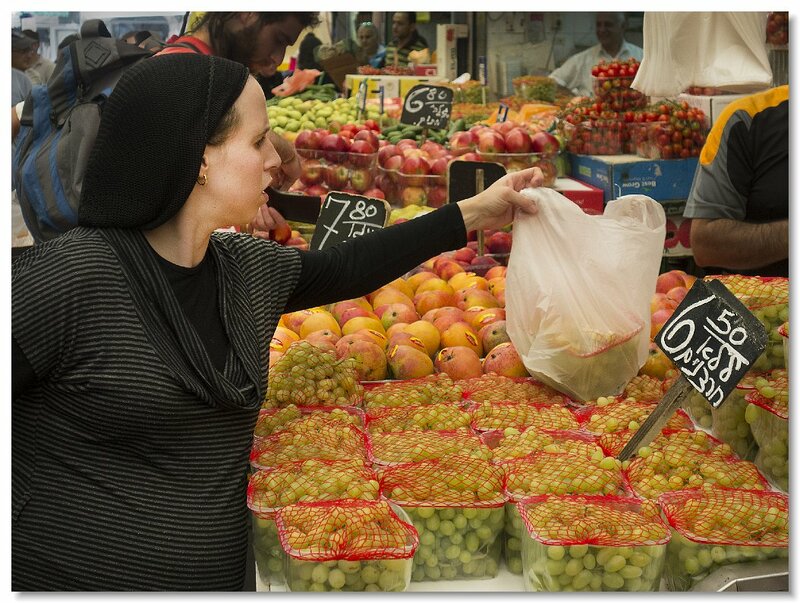 Women in the Machane Yehuda market. 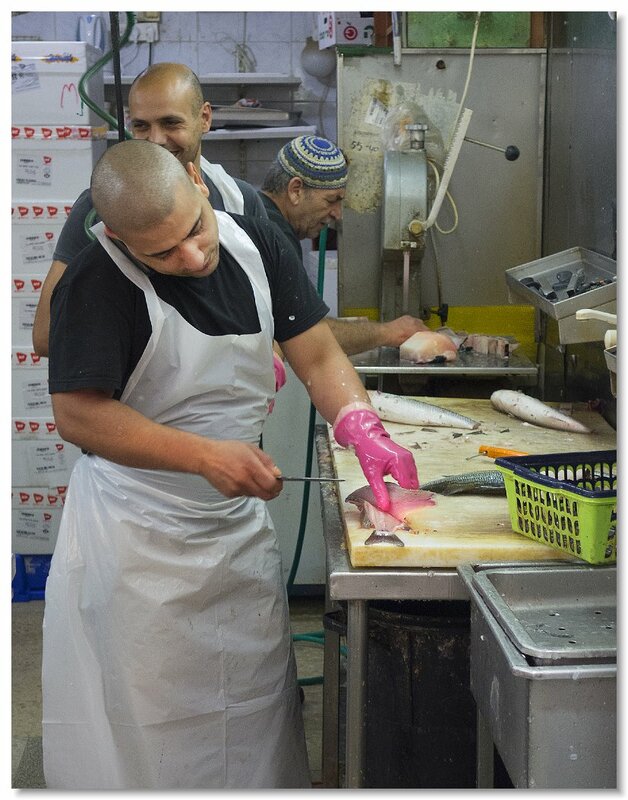 Fish stand in Machane Yehuda. 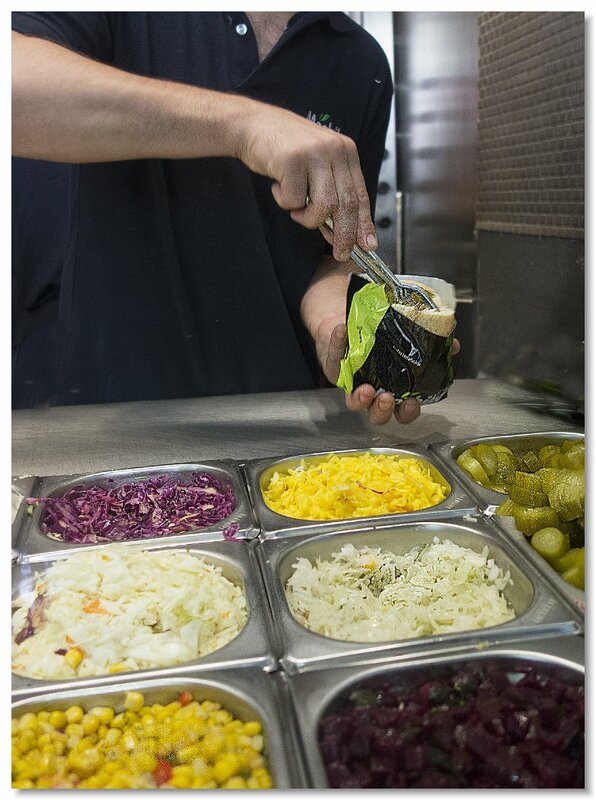 Don't squeeze the tomatos ! 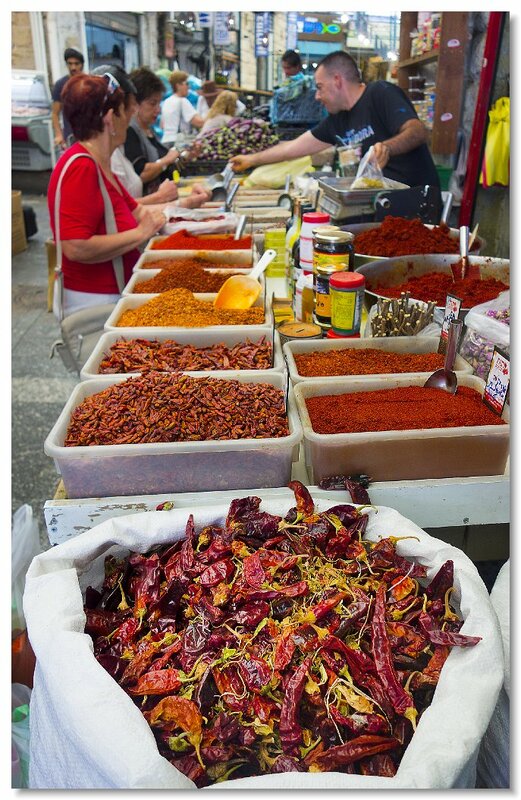 Incredible hot peppers and spices in bulk in Machane Yehuda. 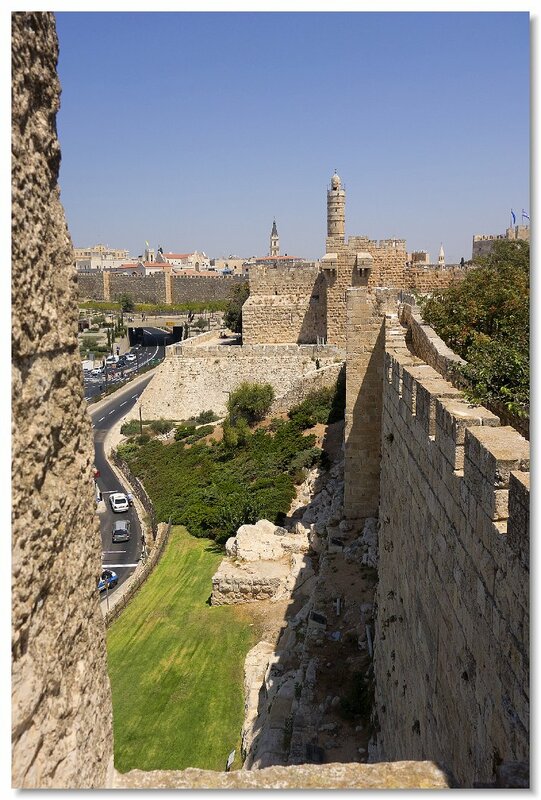 Old city walls. 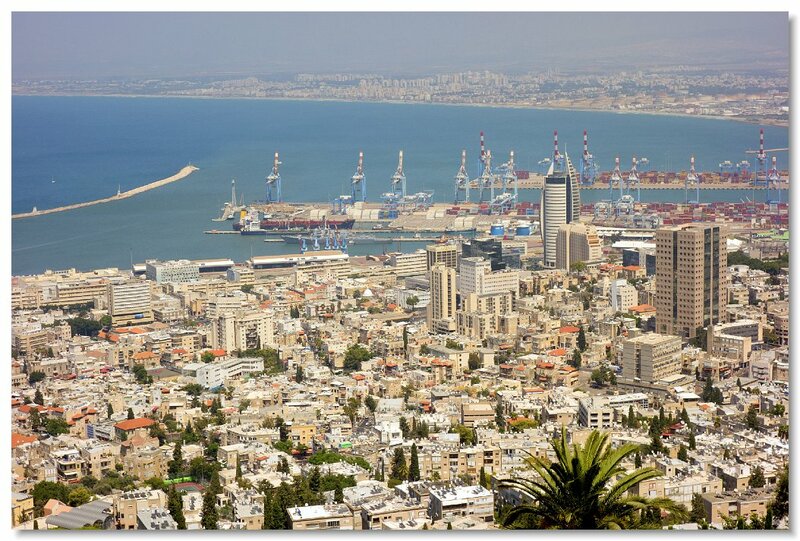 We walked along the top ramparts. 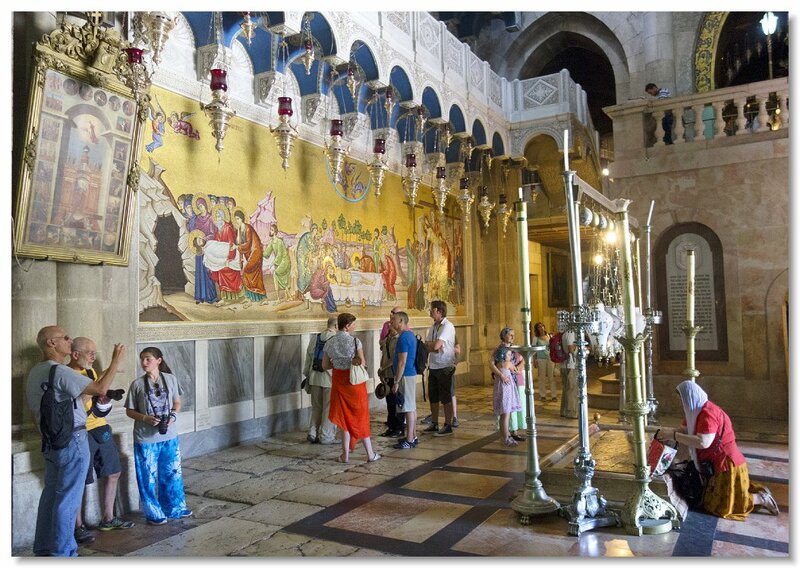 Mural in the Church of the Holy Sepulchre. 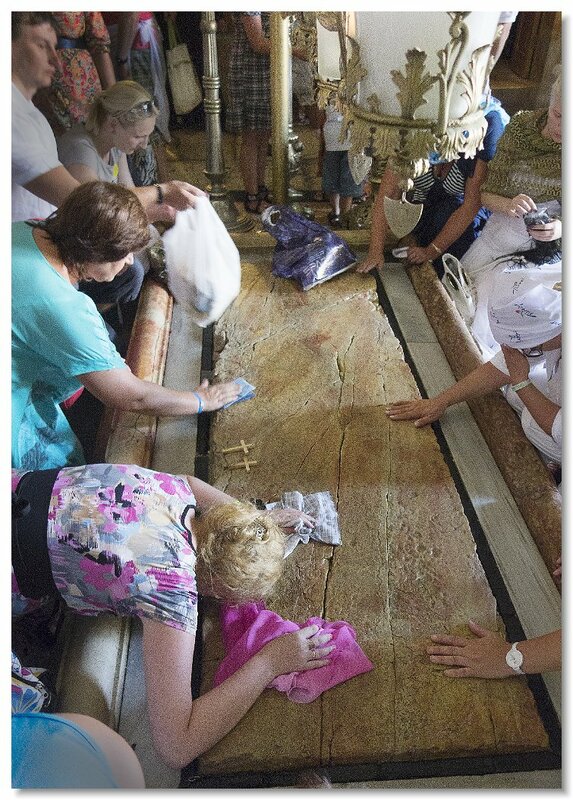 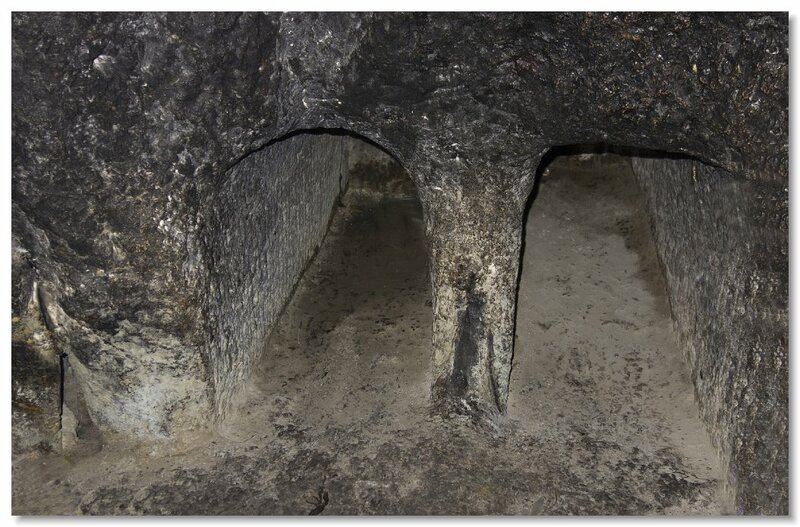 Activity at the stone of Unction in the Church of the Holy Sepulchre. 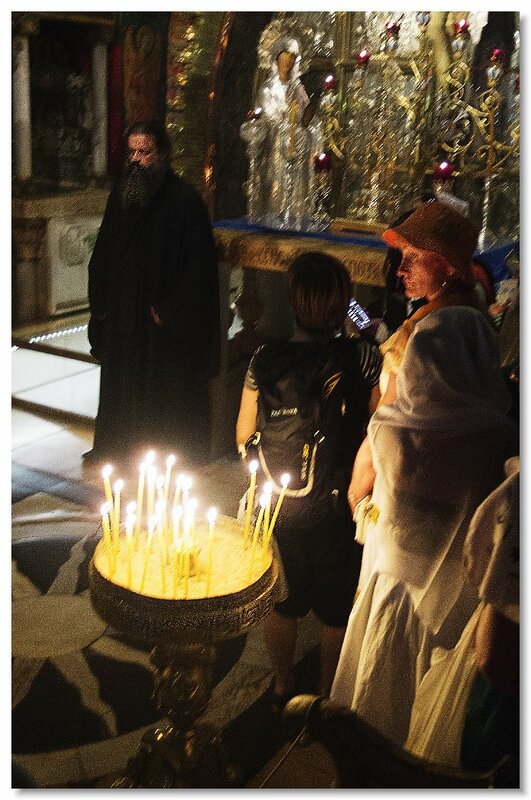 Tomb in the Church of the Holy Sepulchre. 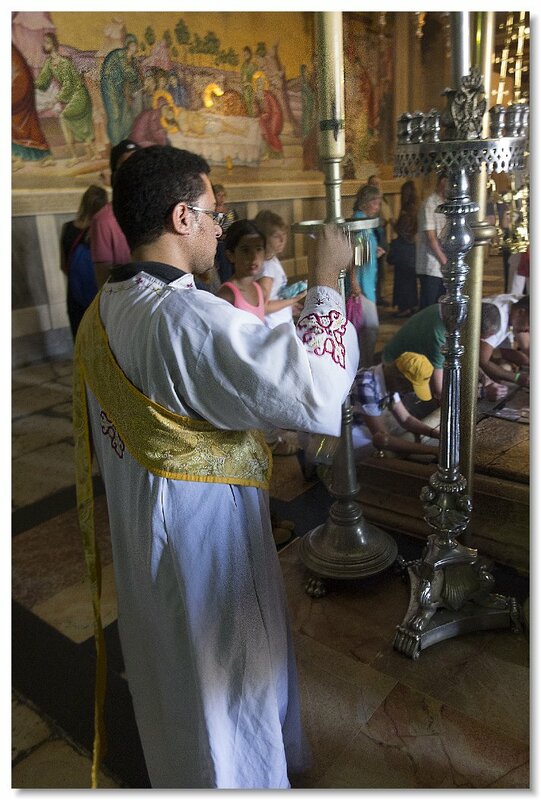 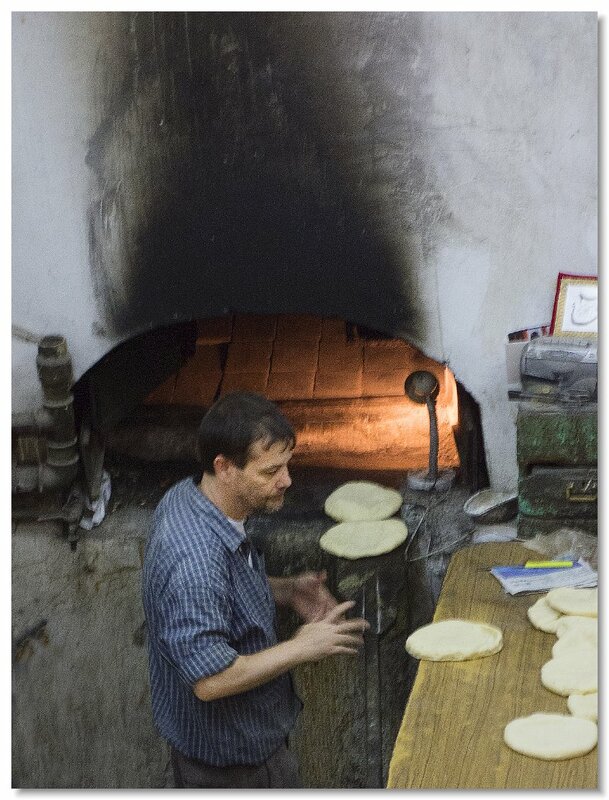 Another priest is seen in the Church of the Holy Sepulchre. 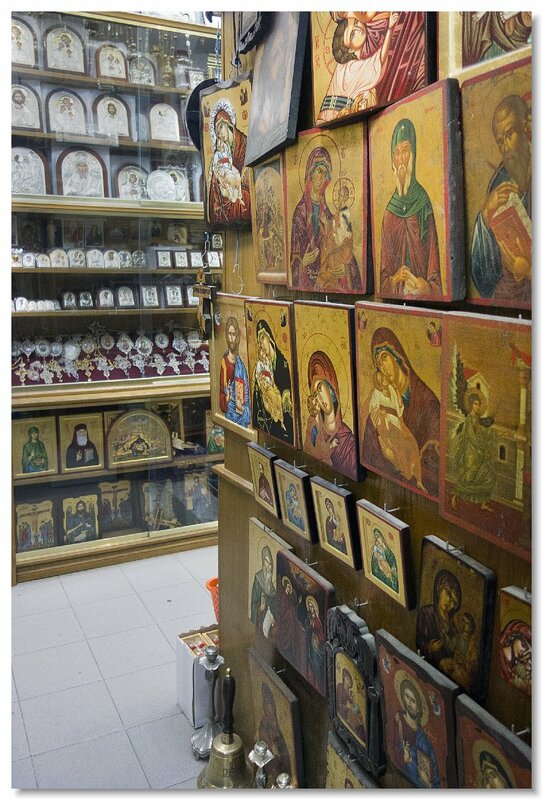 Religious items in a shop near the Church of the Holy Sepulchre. 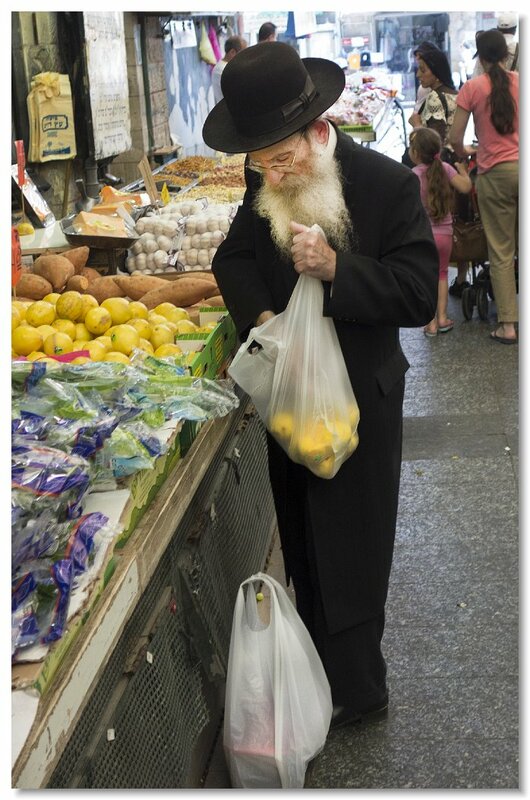 Back in the Old City market. 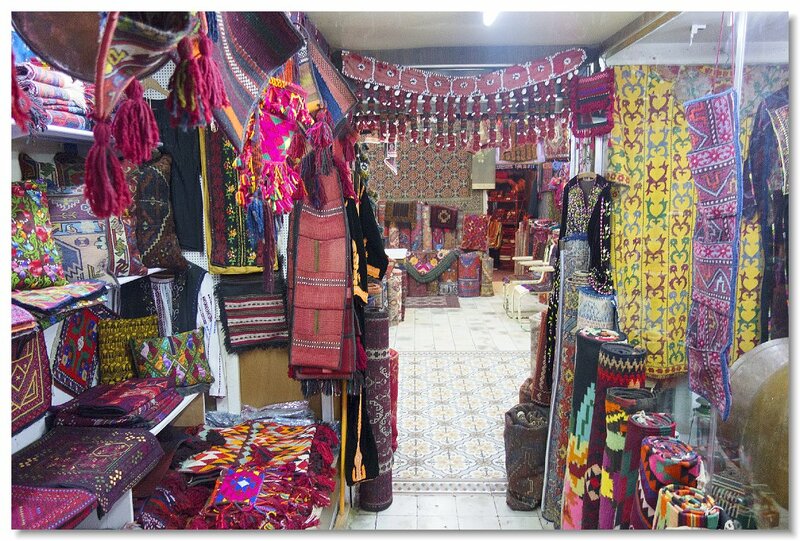 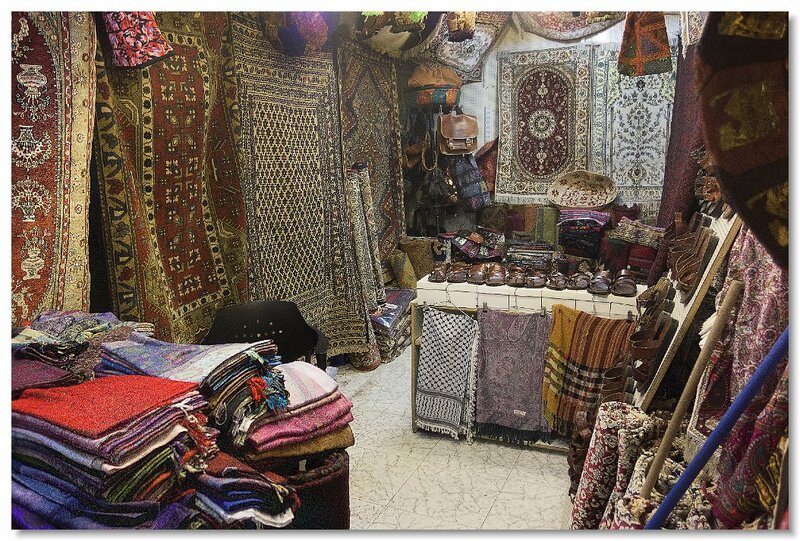 Arab section in the Old City market. 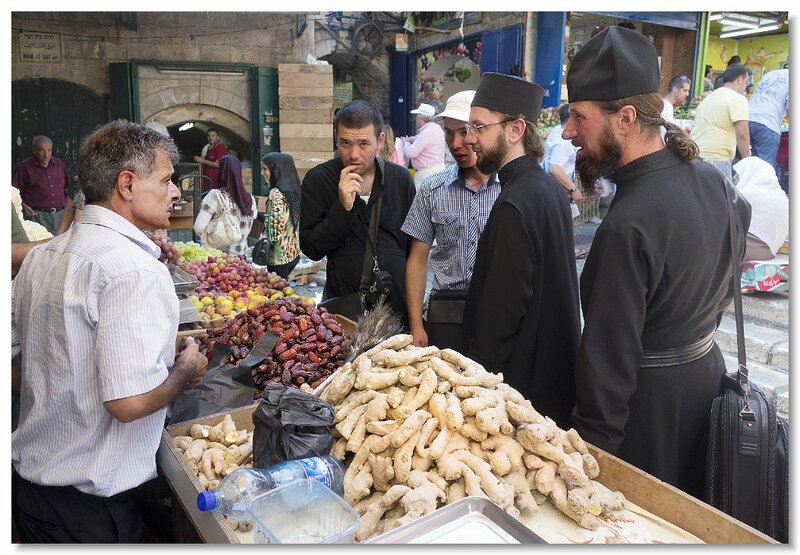 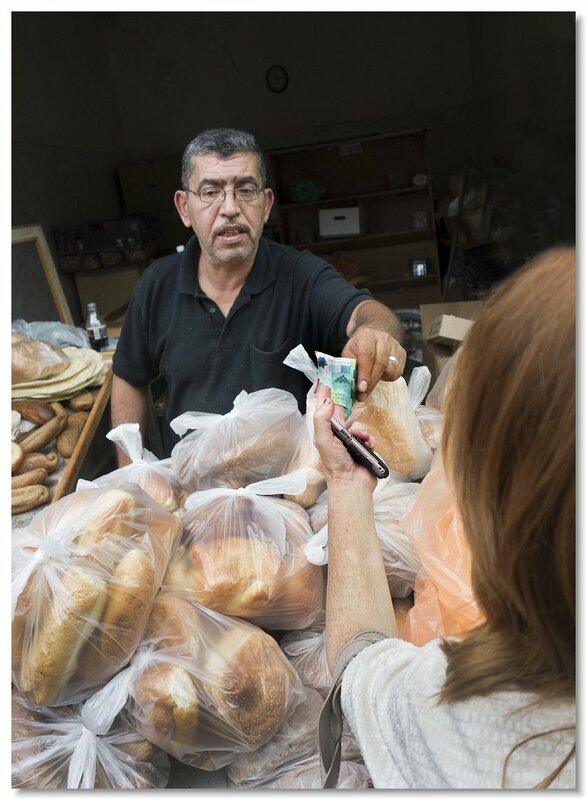 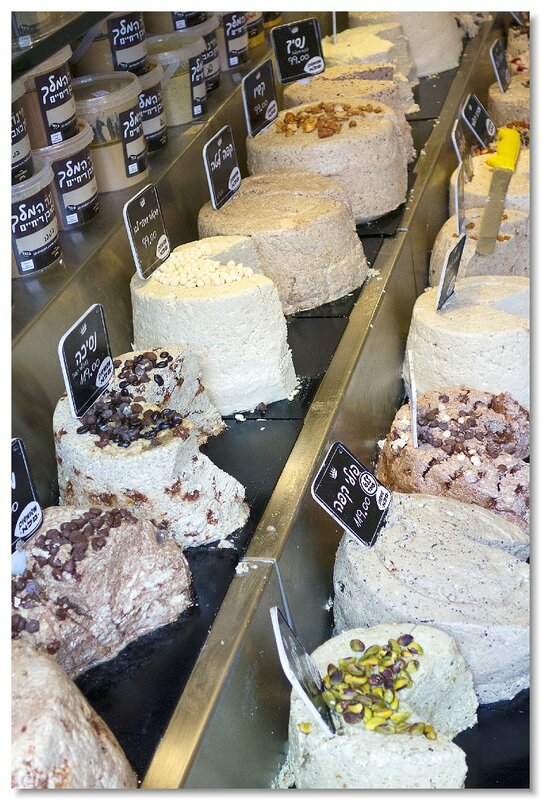 Shopping for food in the Old City. 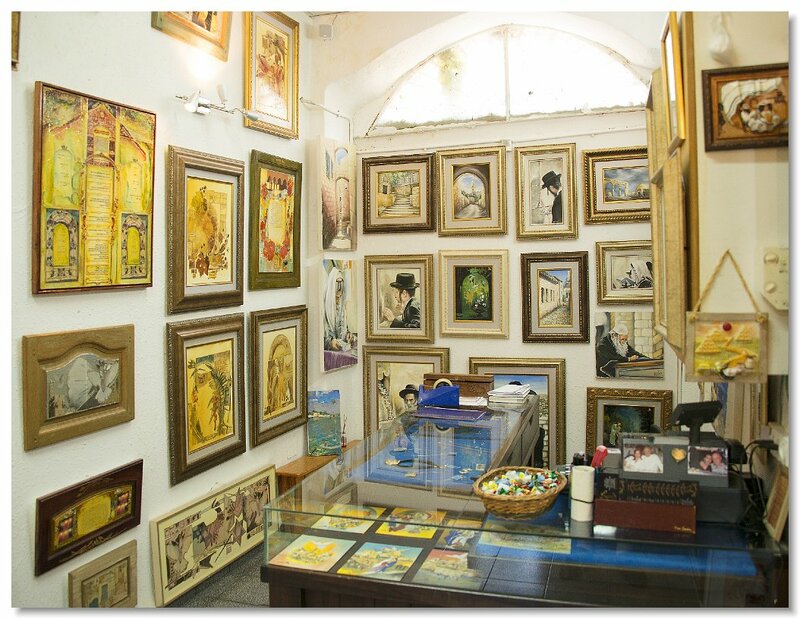 In an Old City shop. 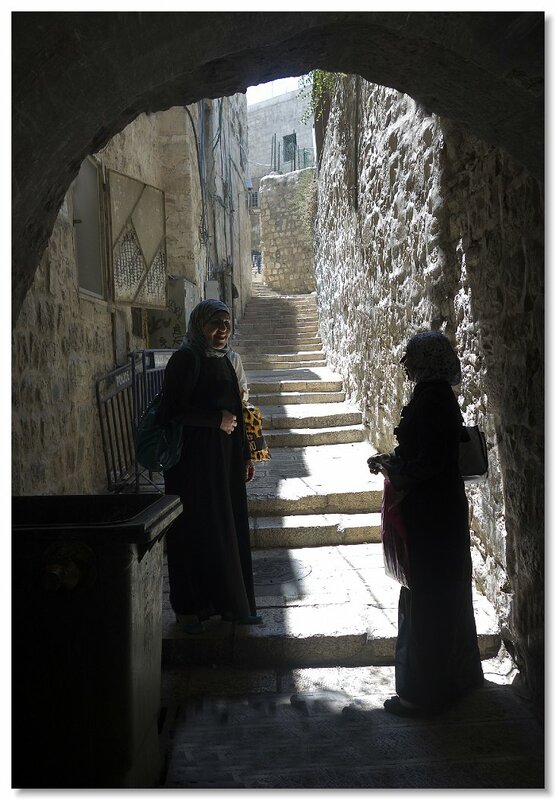 Another Old City side street. 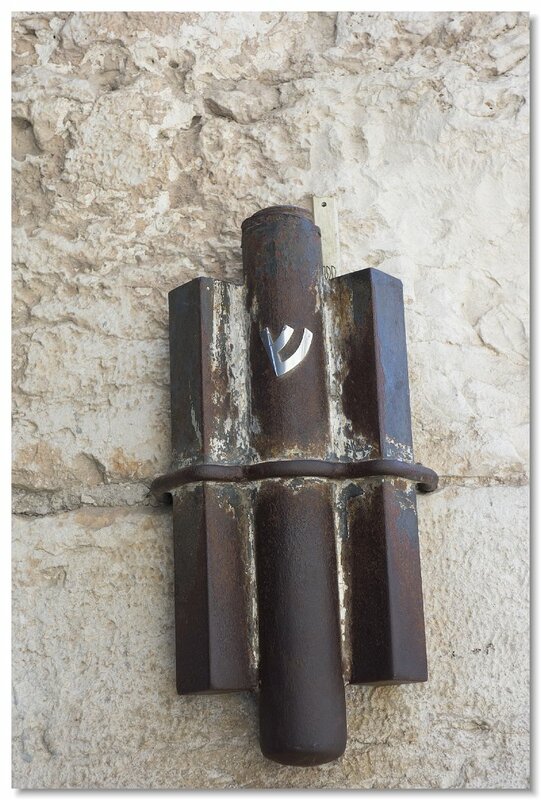 Mezuzah at the Jaffa Gate. 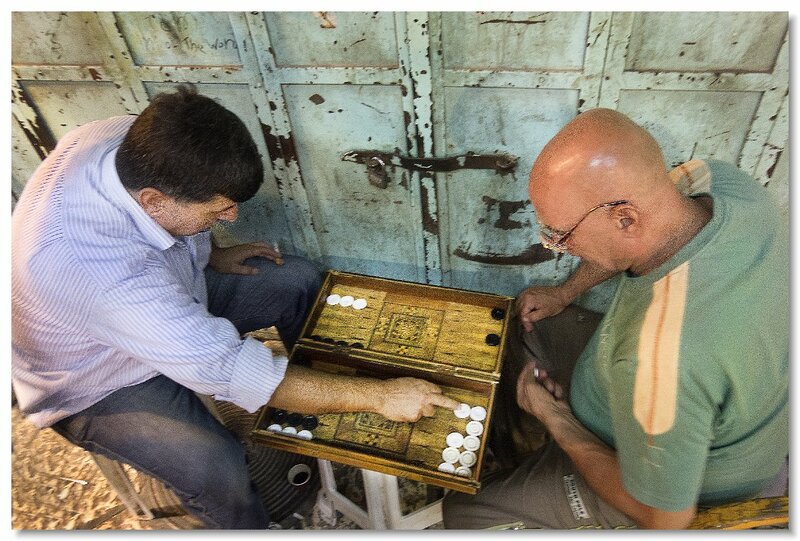 Playing backgammon during a few momemts of spare time. 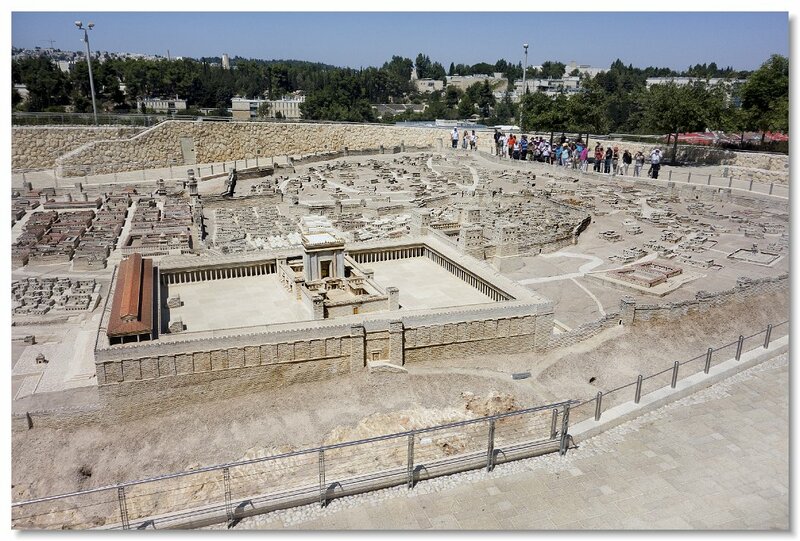 Israel Museum's model of the old city of Jerusalem. 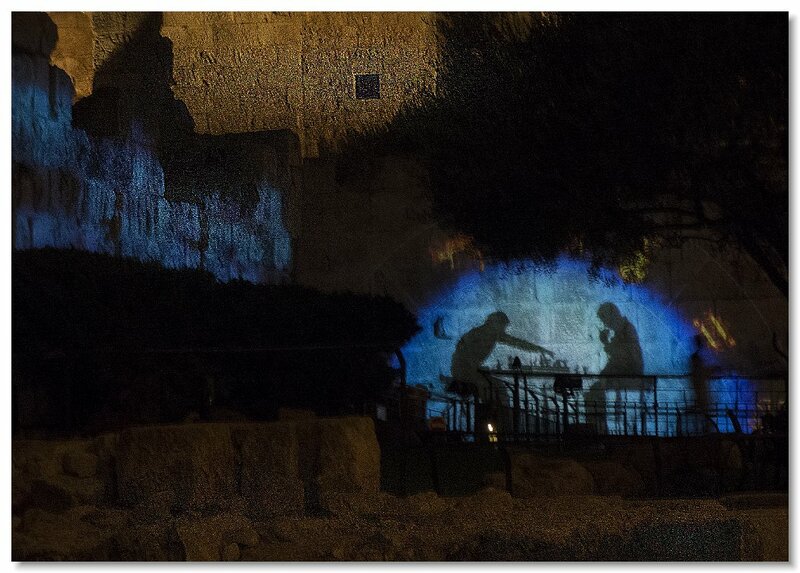 Just before the Sound and Light Show in the Tower of David - Jerulalem. 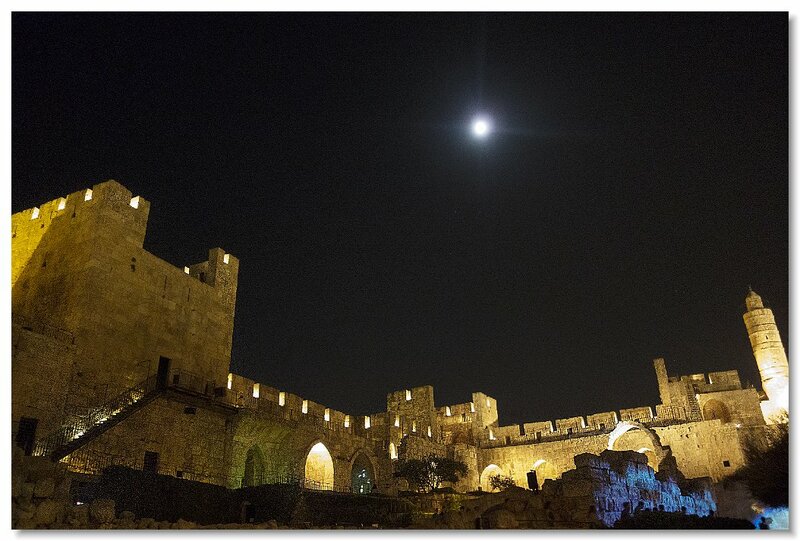 Just before the sound and Light Show in the Tower of David begins.